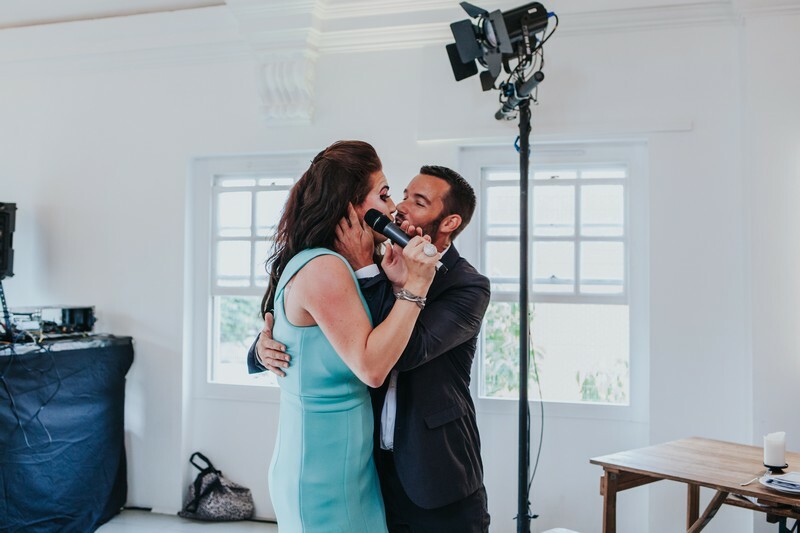 Working with Emily & Adam was pretty much a dream come true! 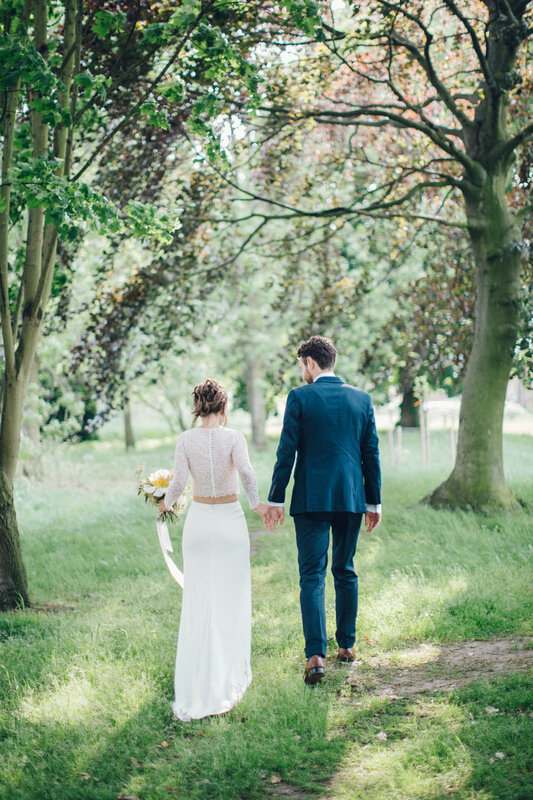 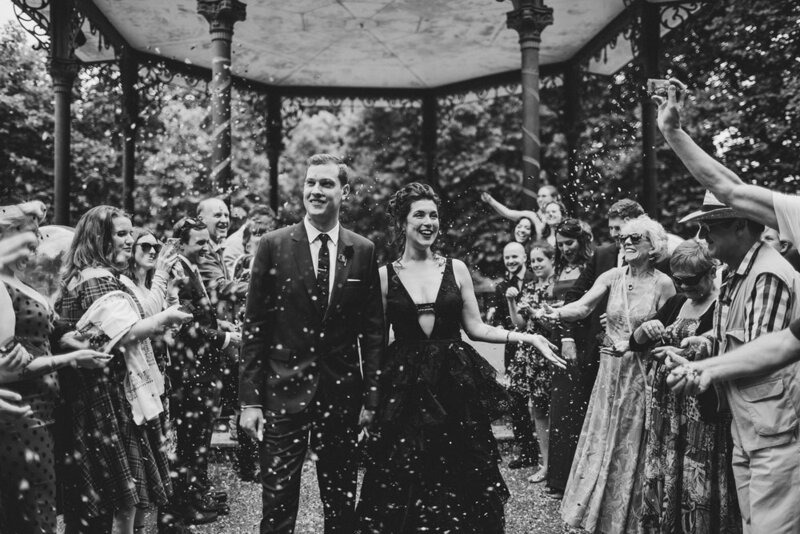 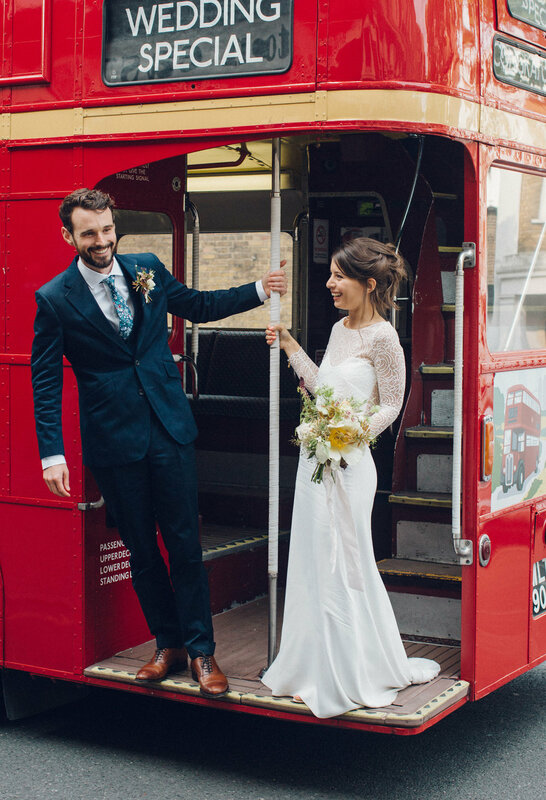 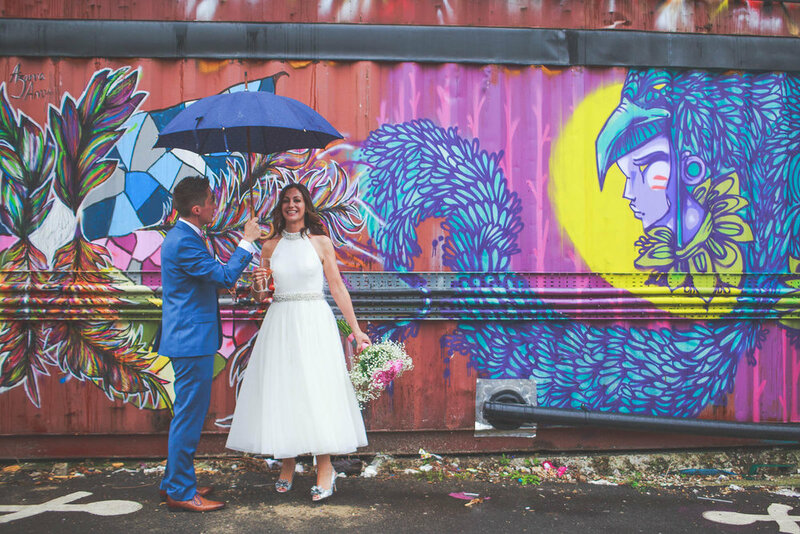 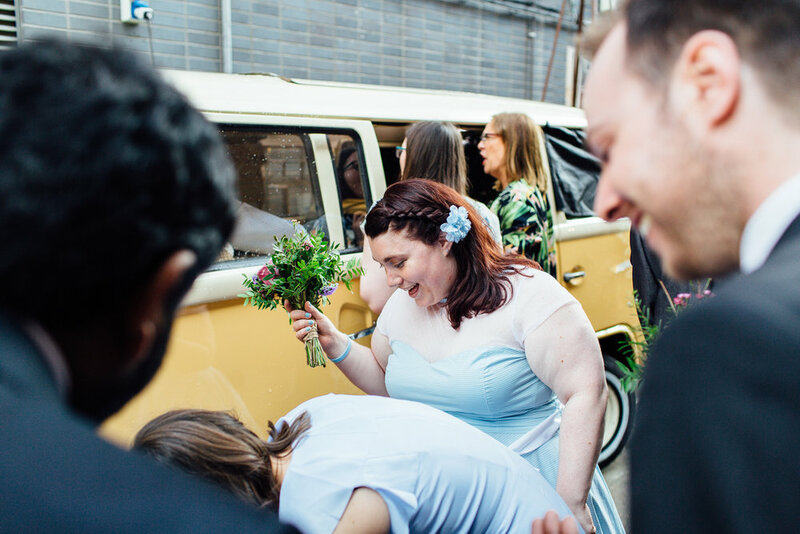 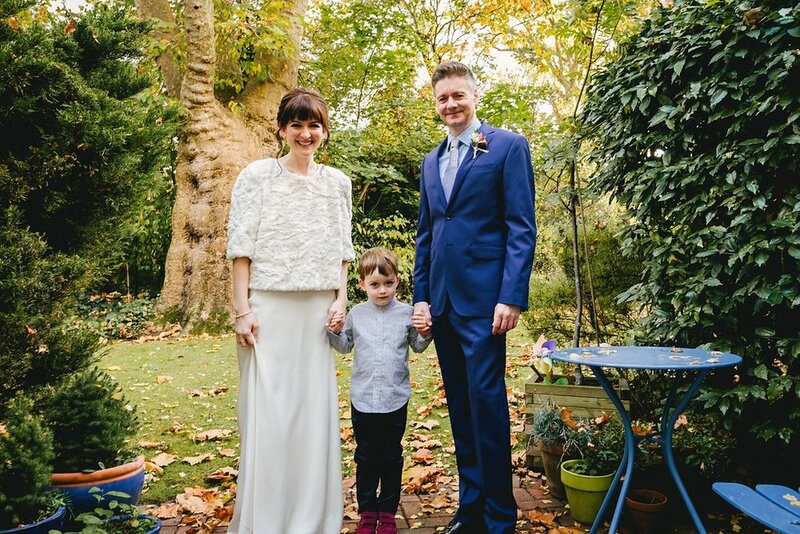 Emily had a very clear vision for her and Adam’s stylish day in cool Shoreditch and fully trusted me and my team to deliver a day truly to remember. 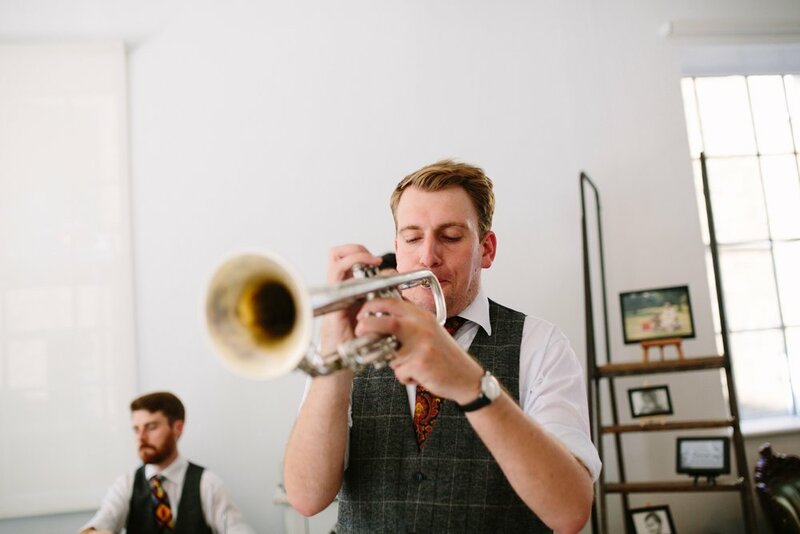 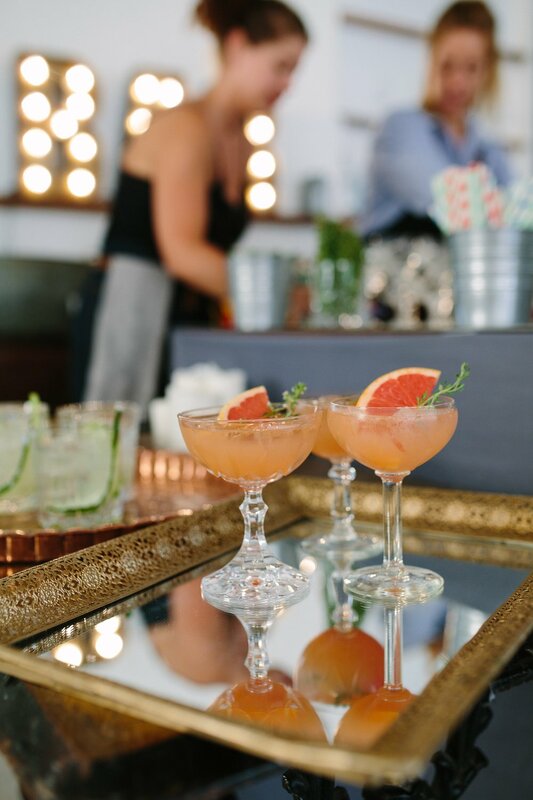 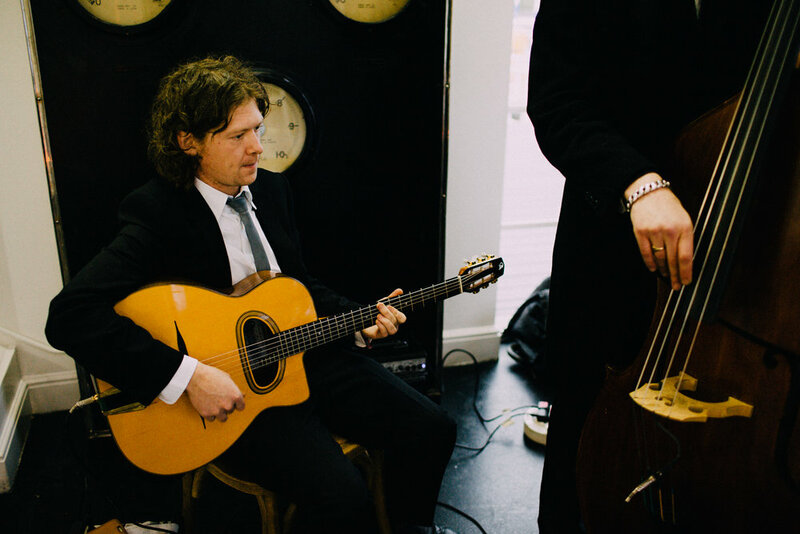 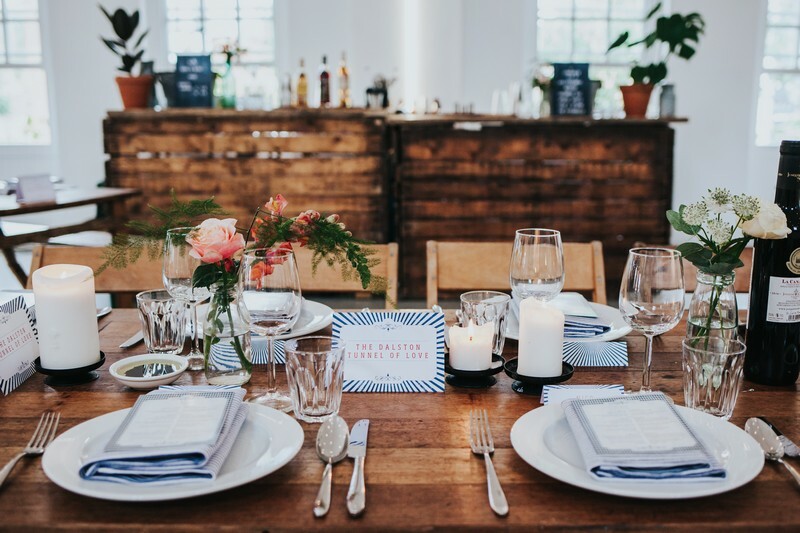 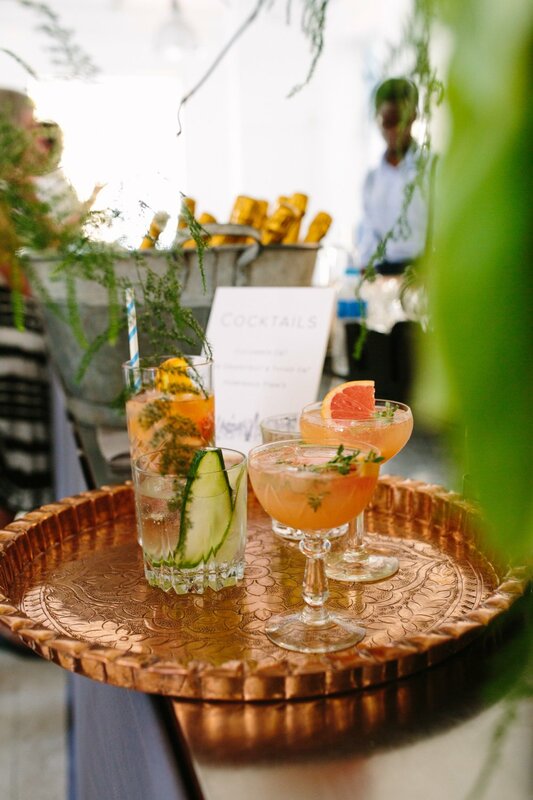 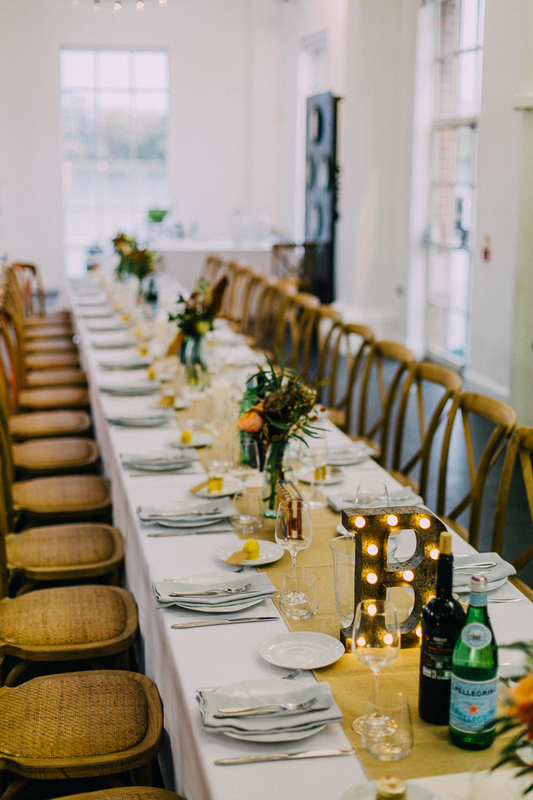 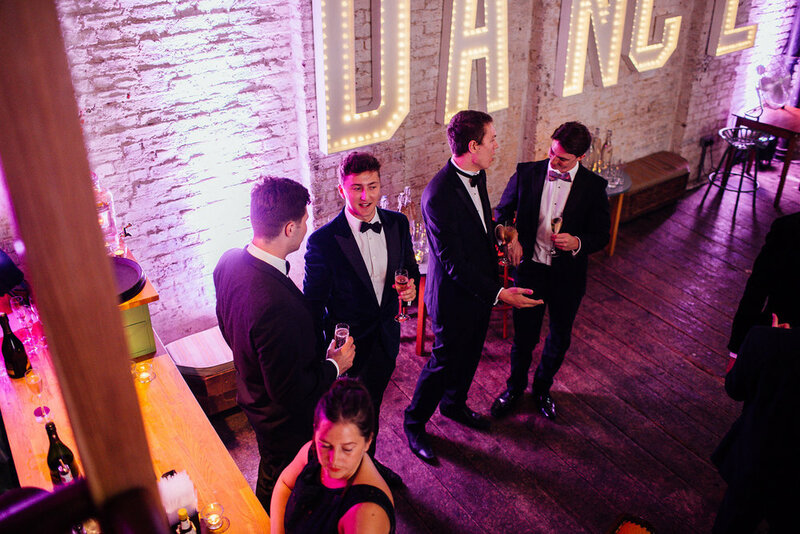 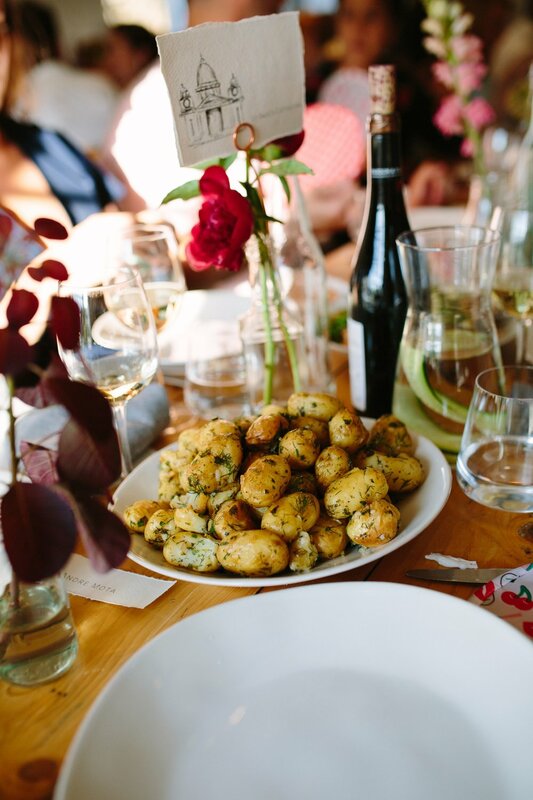 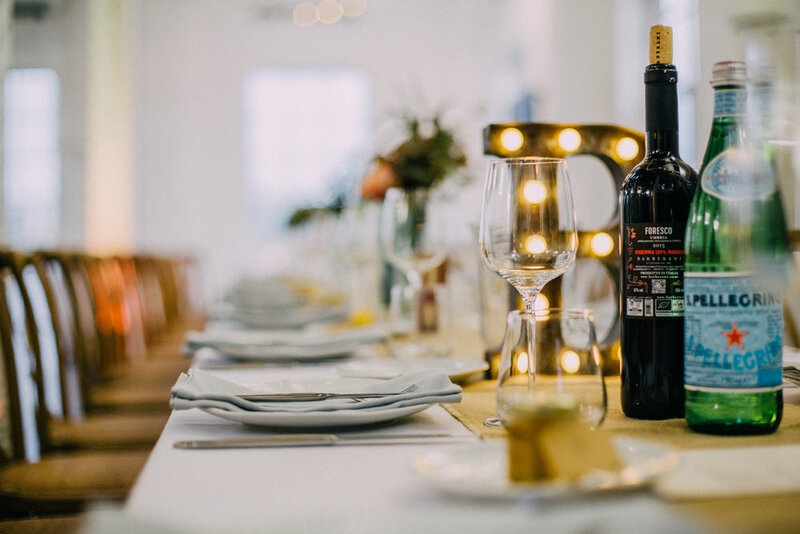 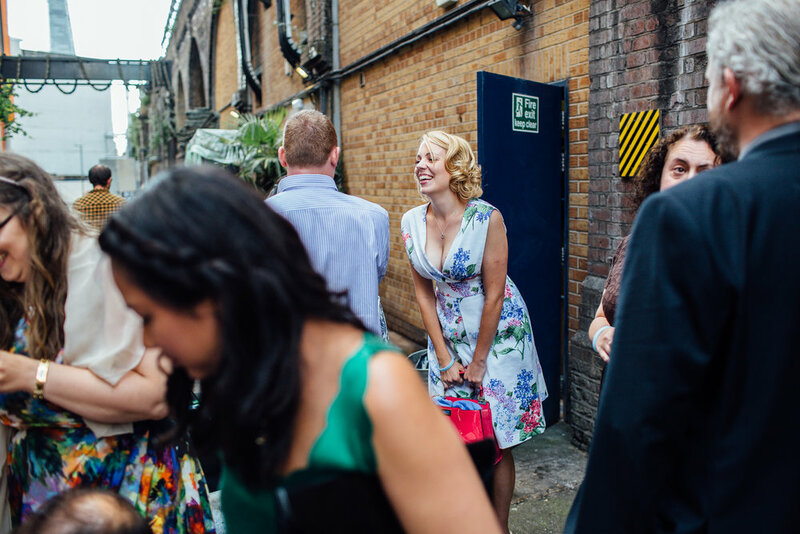 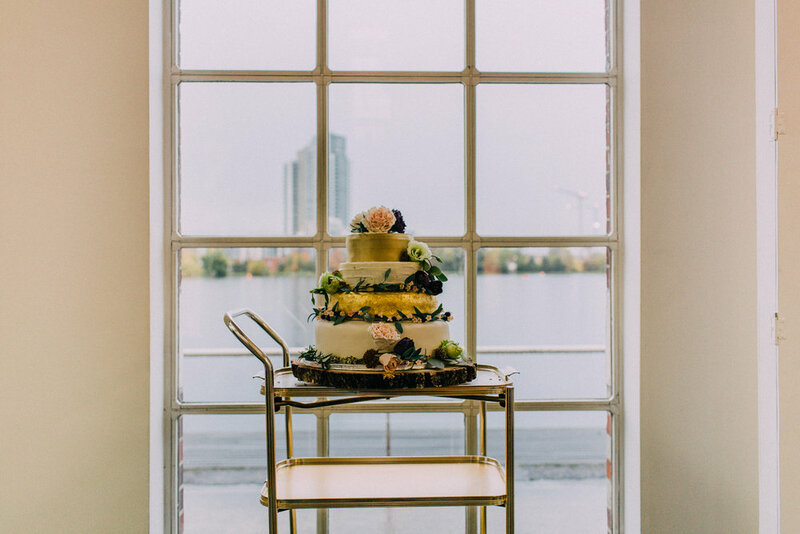 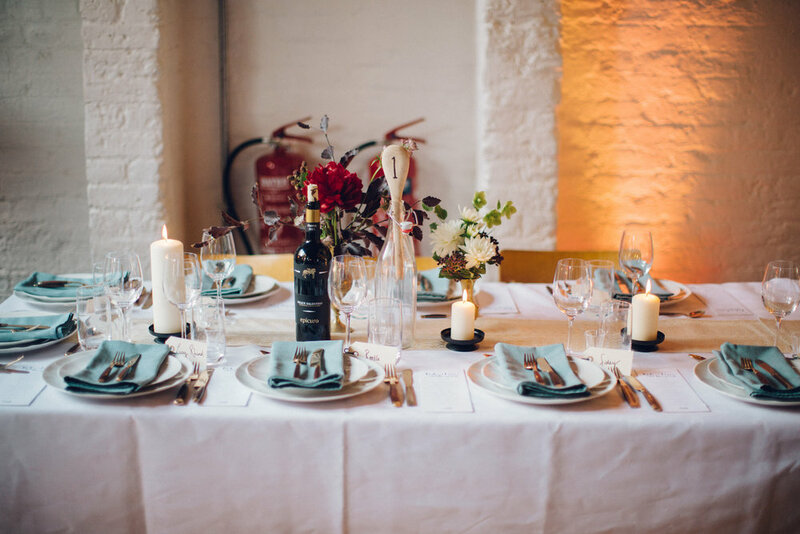 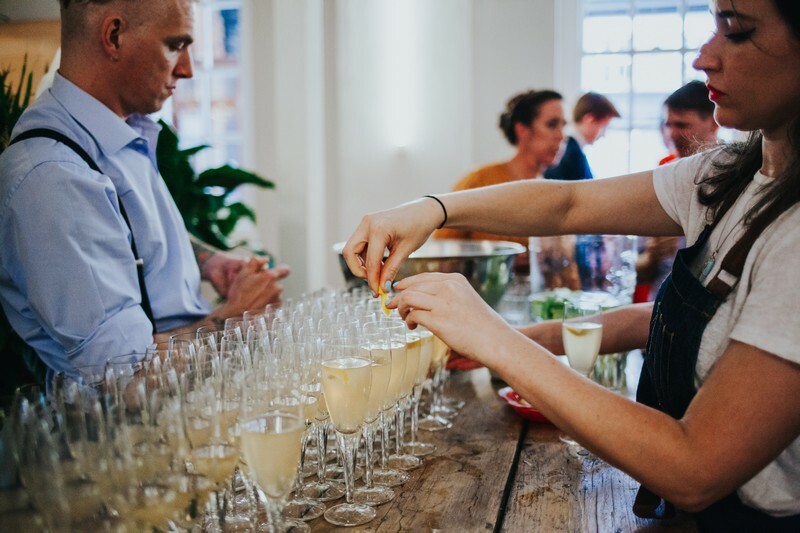 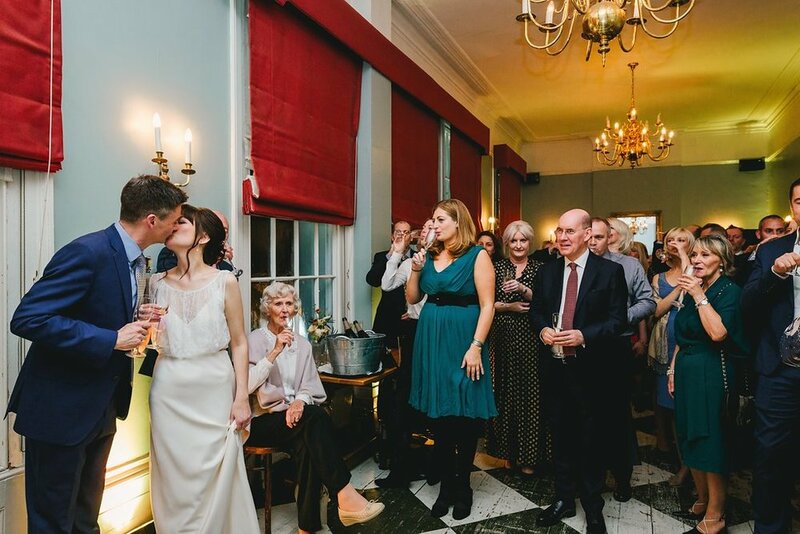 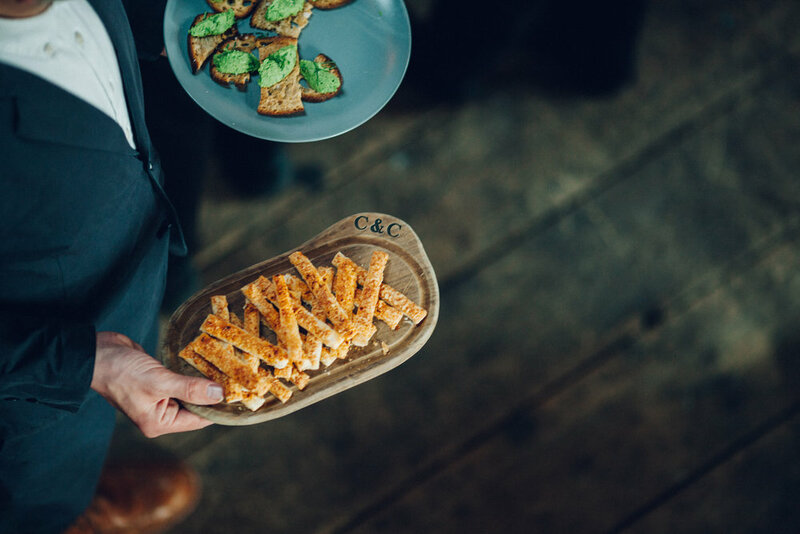 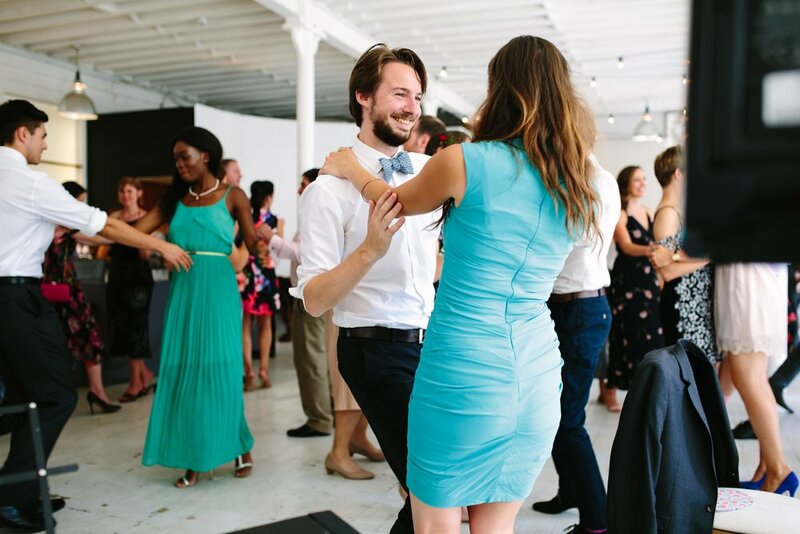 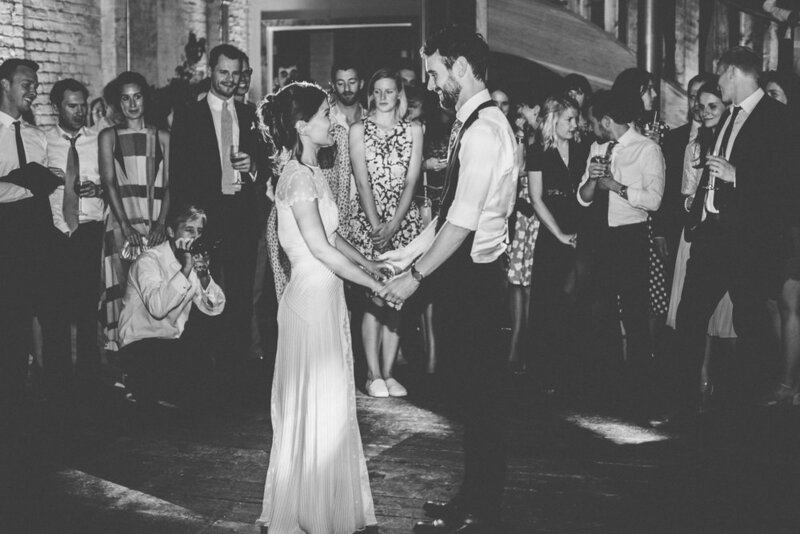 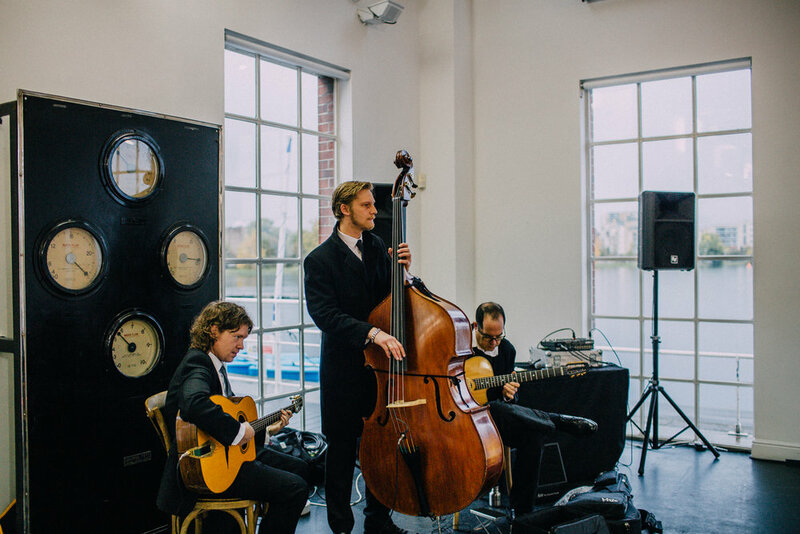 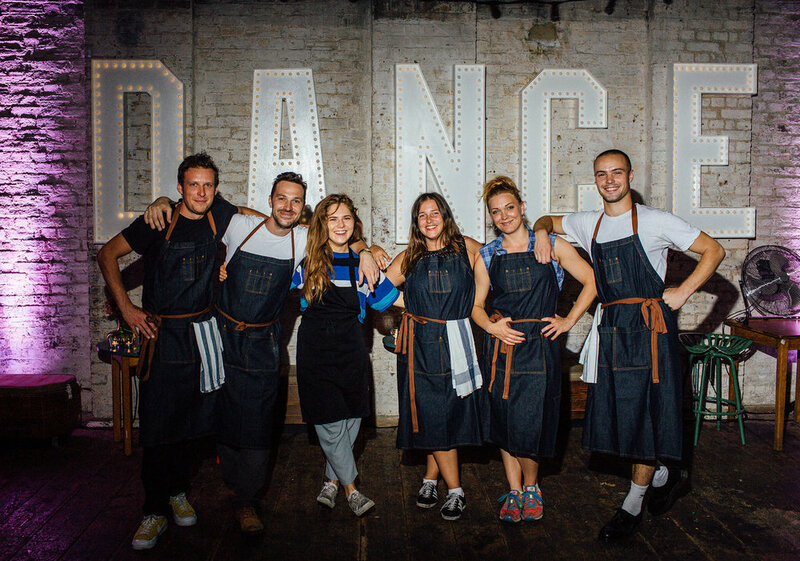 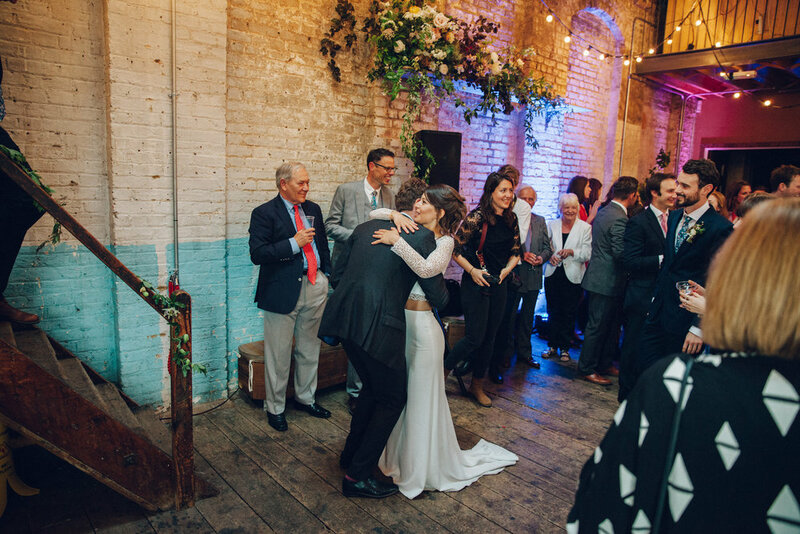 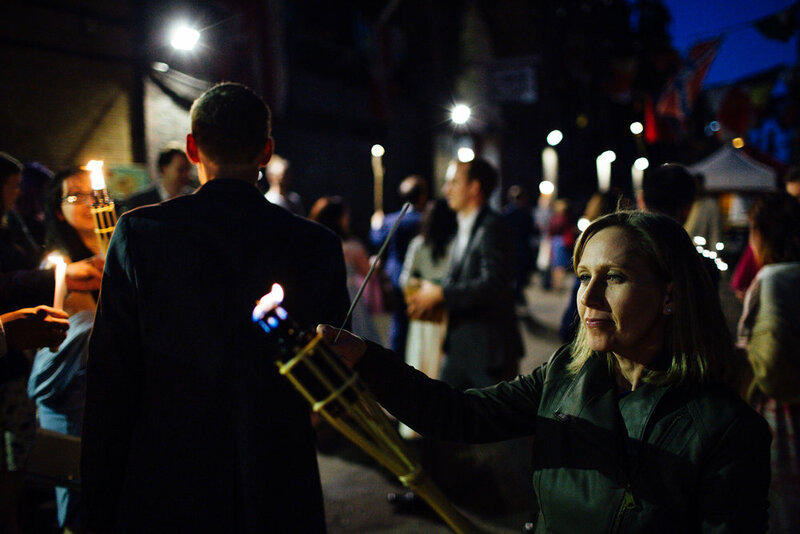 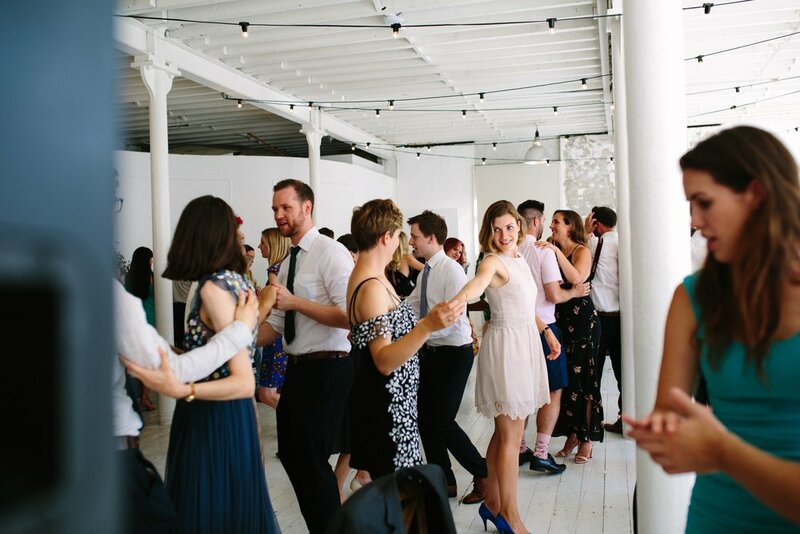 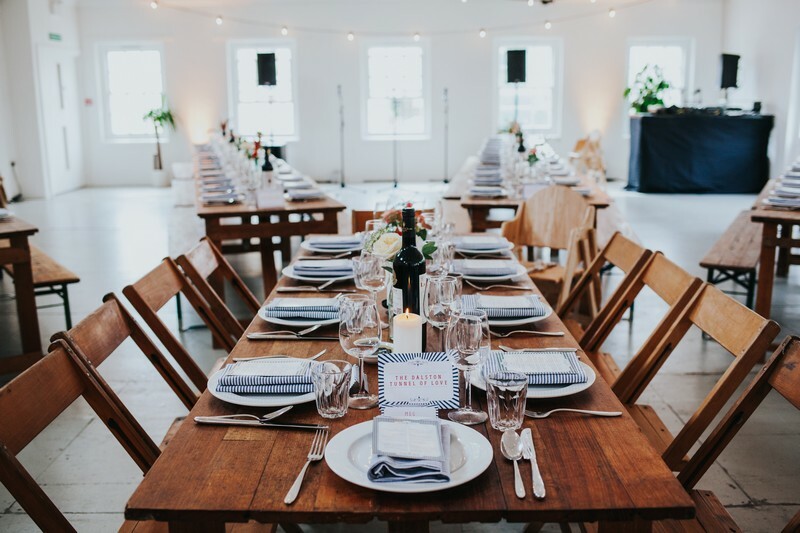 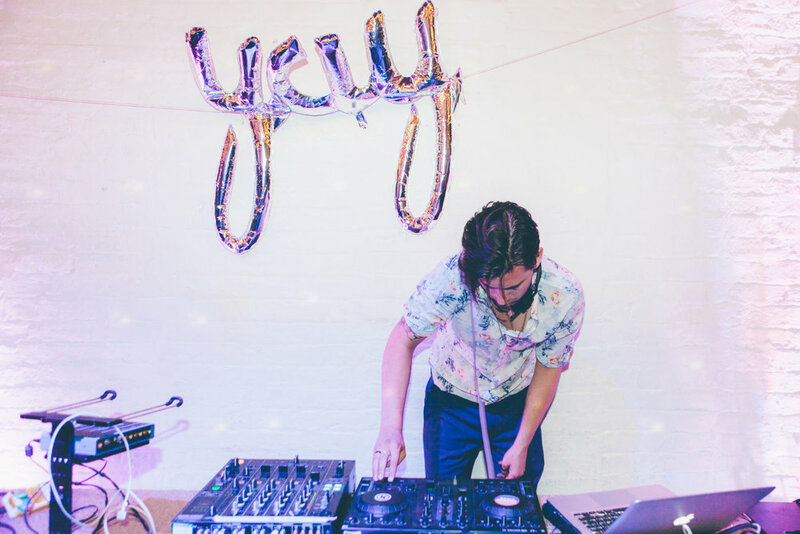 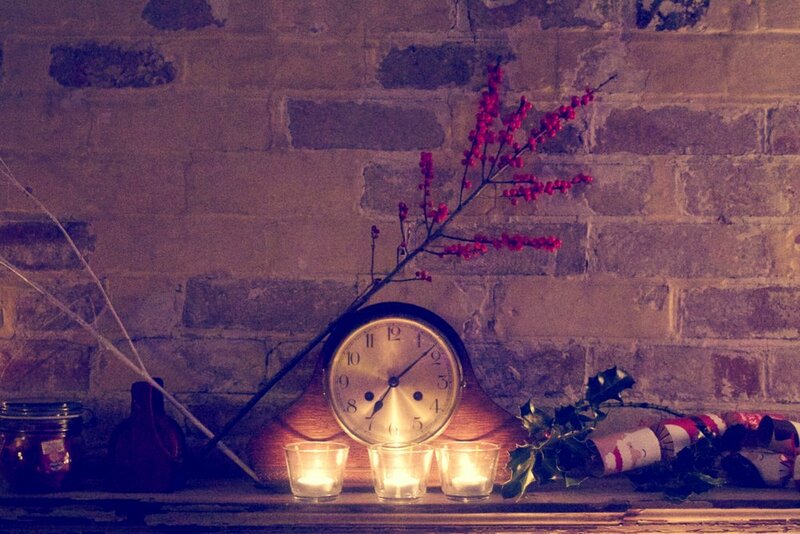 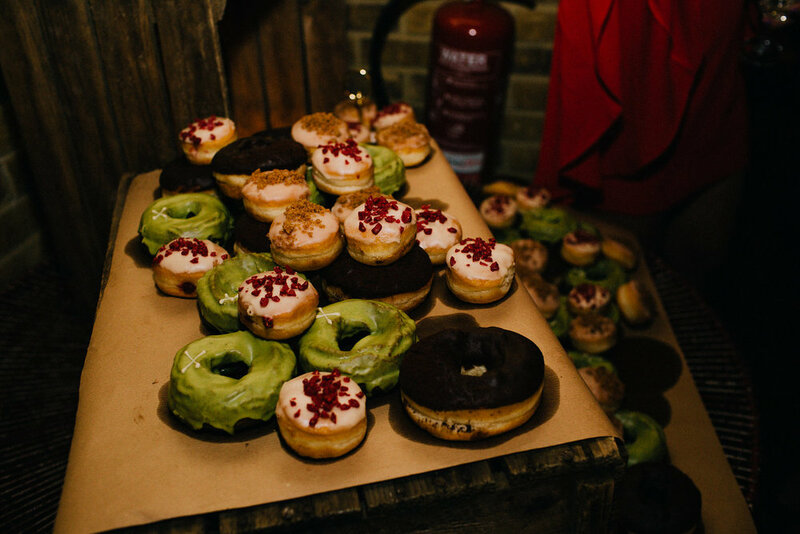 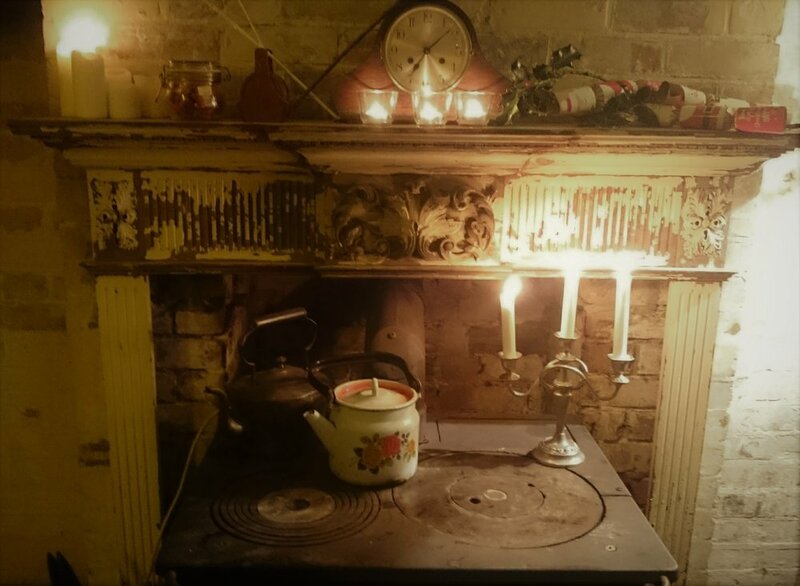 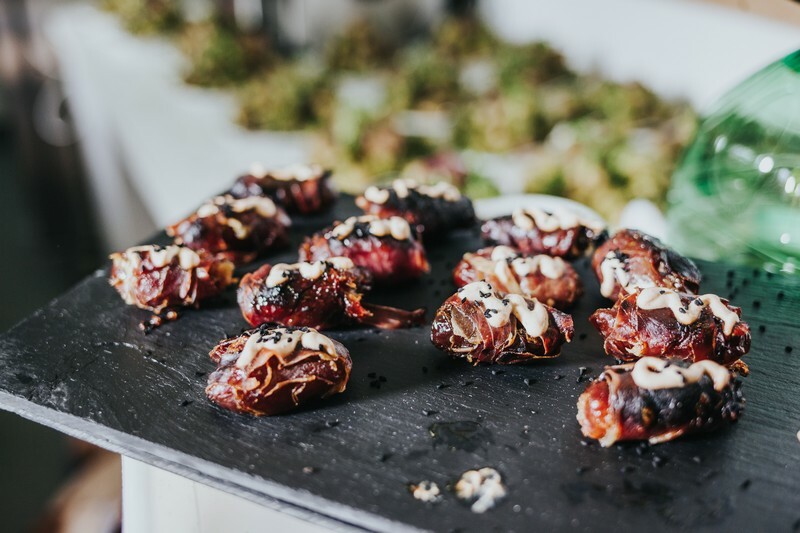 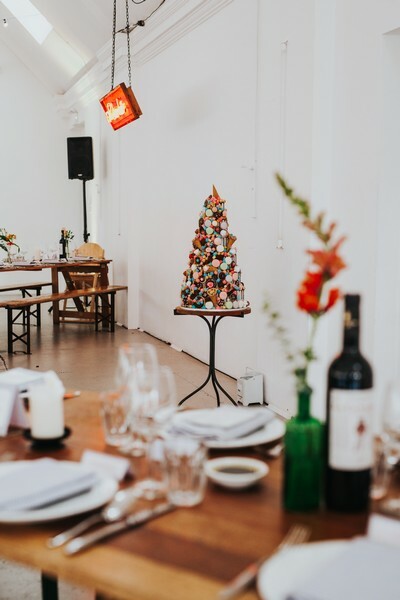 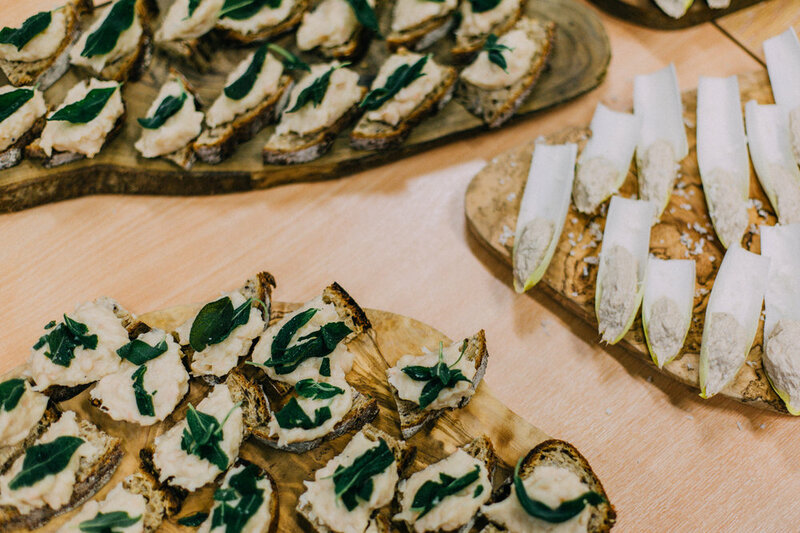 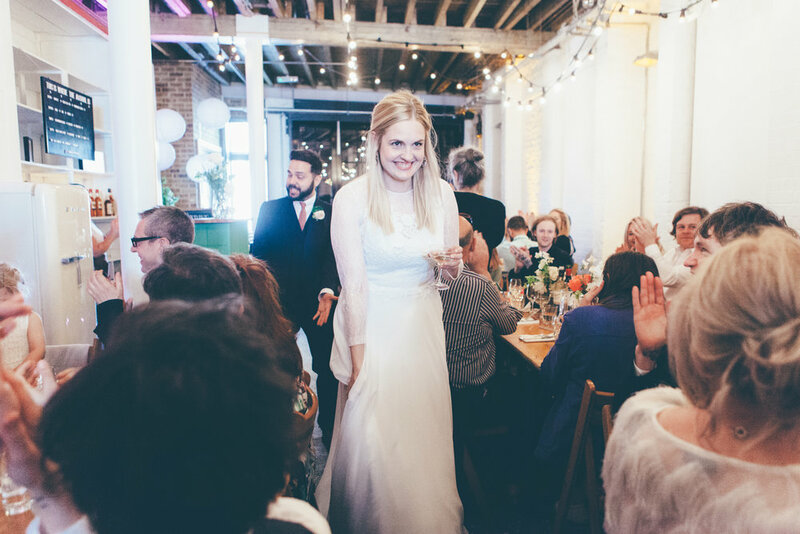 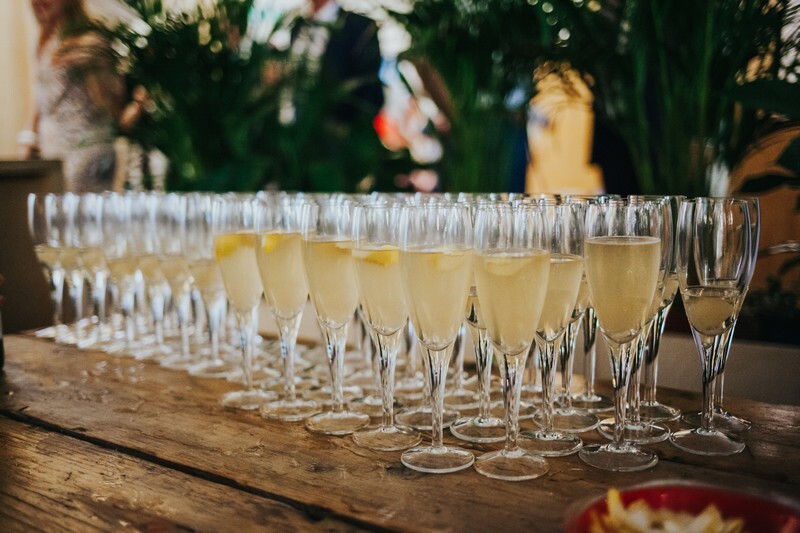 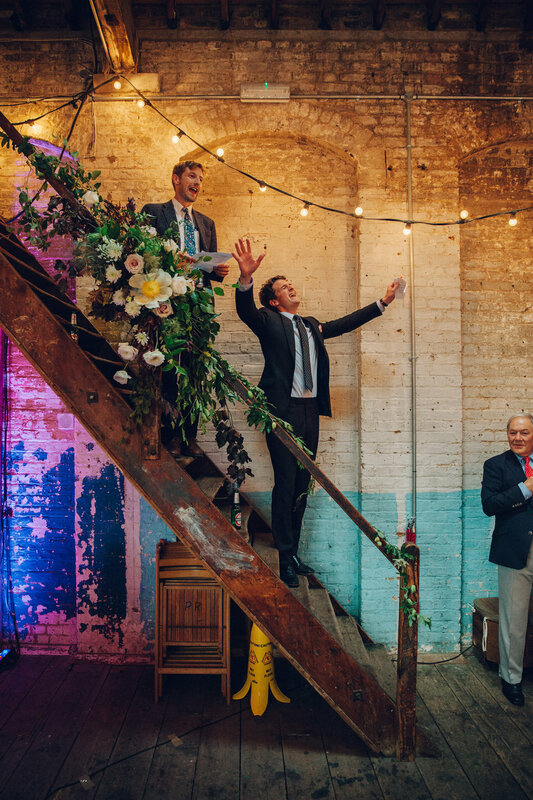 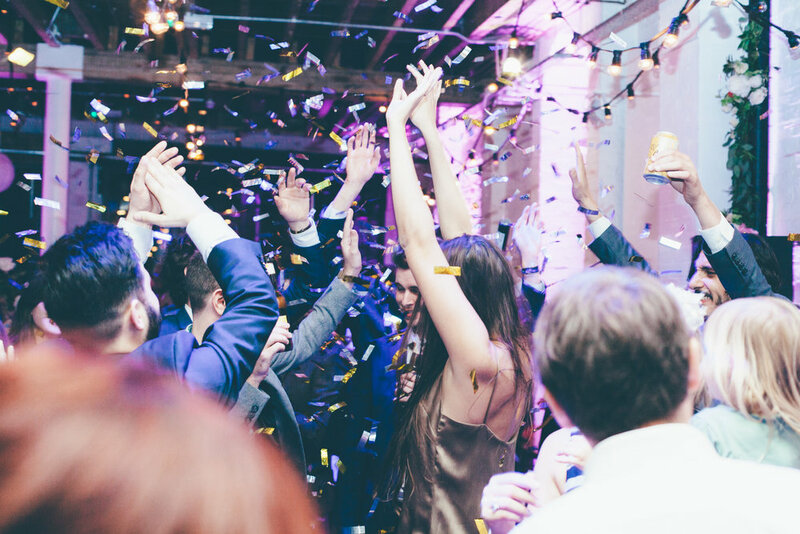 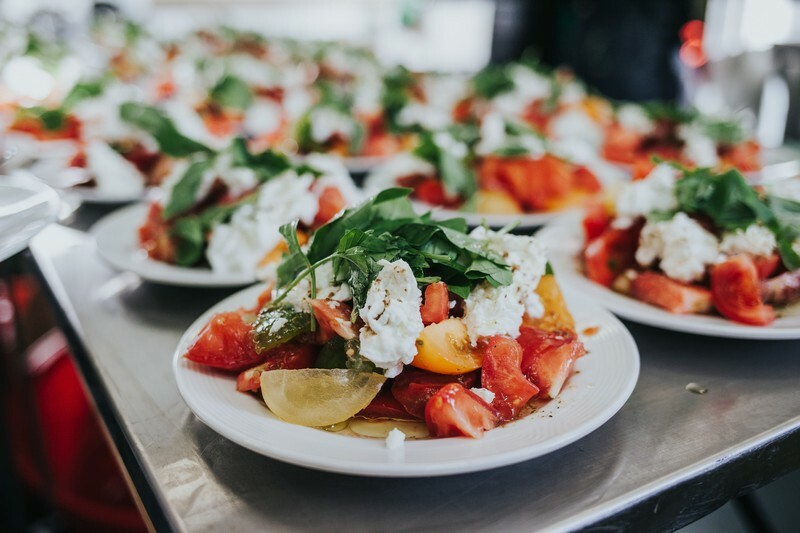 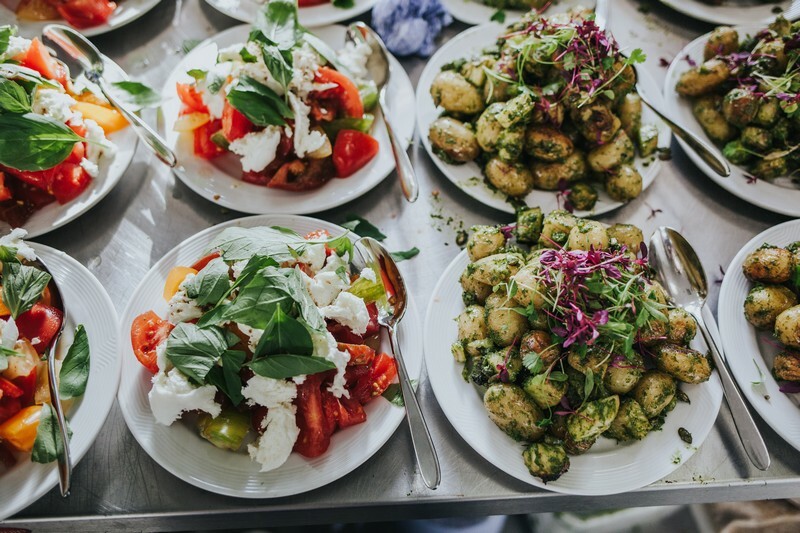 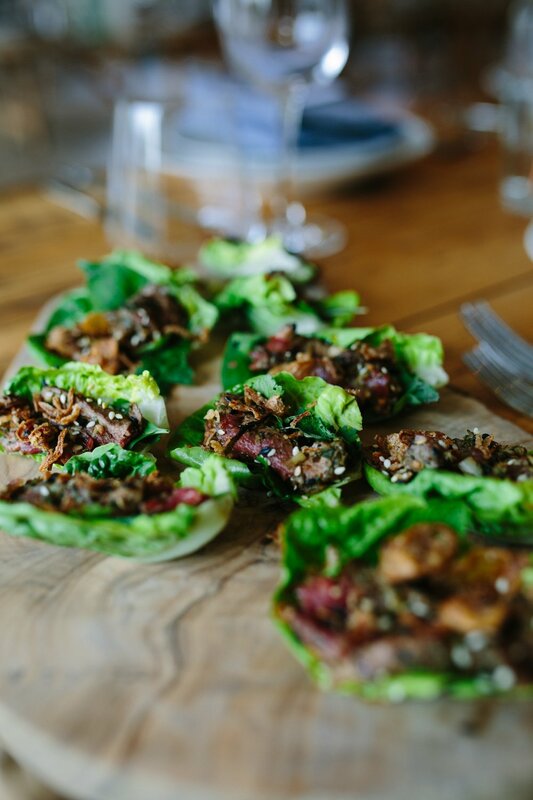 Set in one of East London’s many fantastic warehouse venues, guests were greeted with lots of tasty bespoke gin cocktails, delicious canapés, swing dancing lesson, an endless sharing feast of of travel inspired dishes & finished off with Motown band AND bowling! 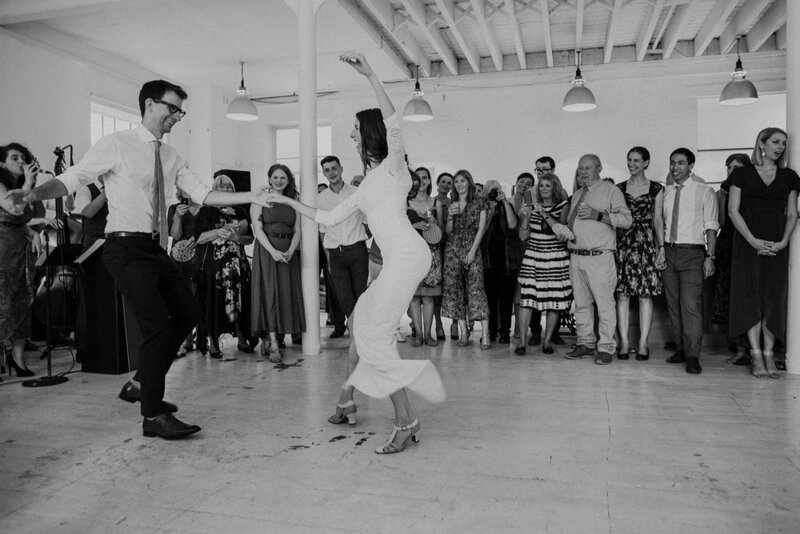 The wedding that had it all. 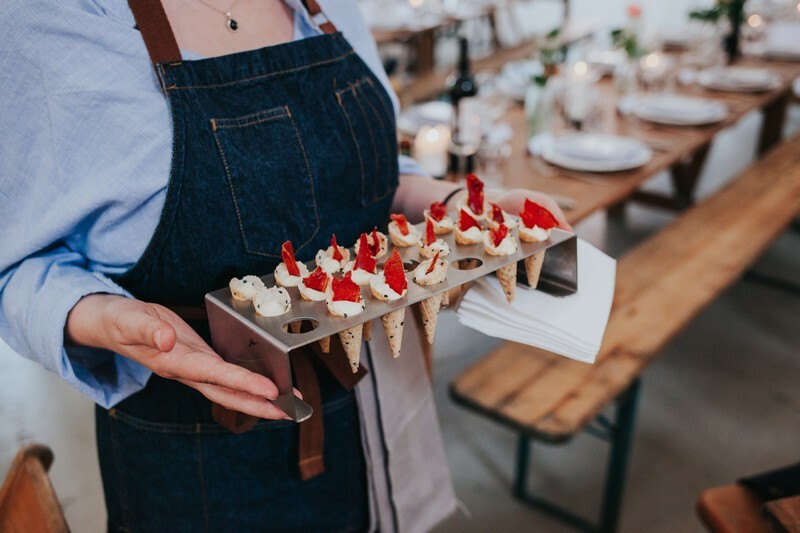 My speciality is providing planning related to food, drink, design & production. 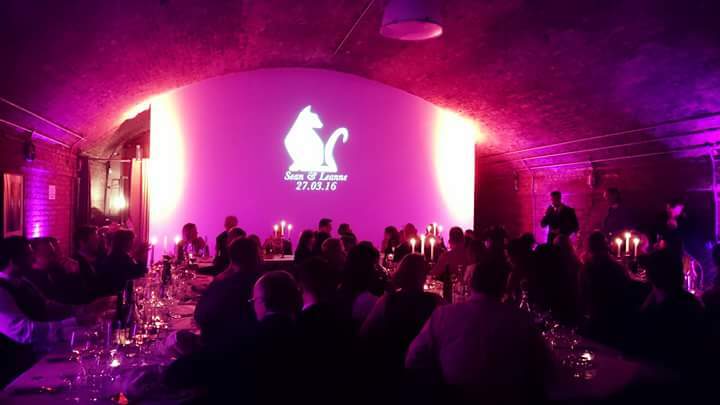 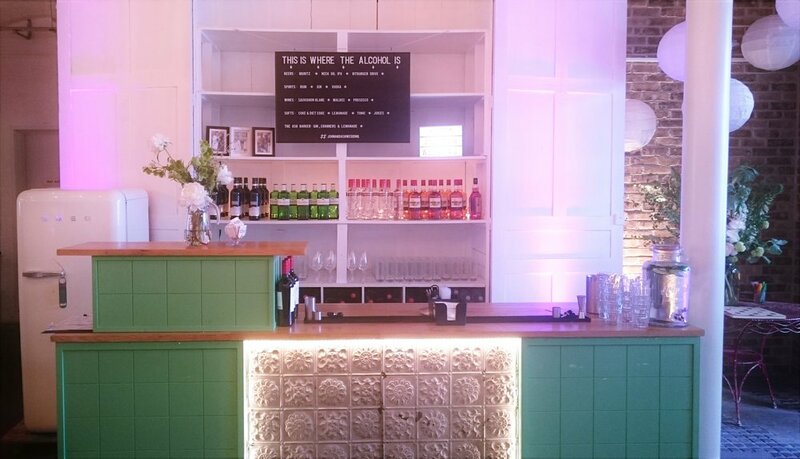 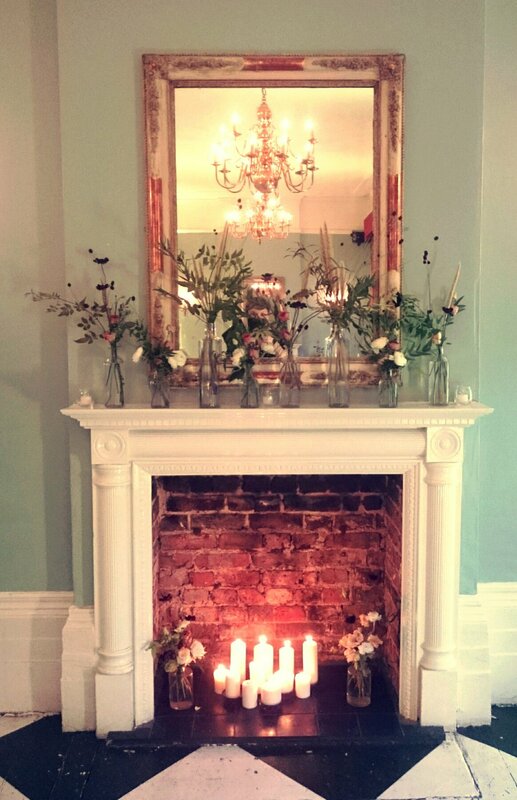 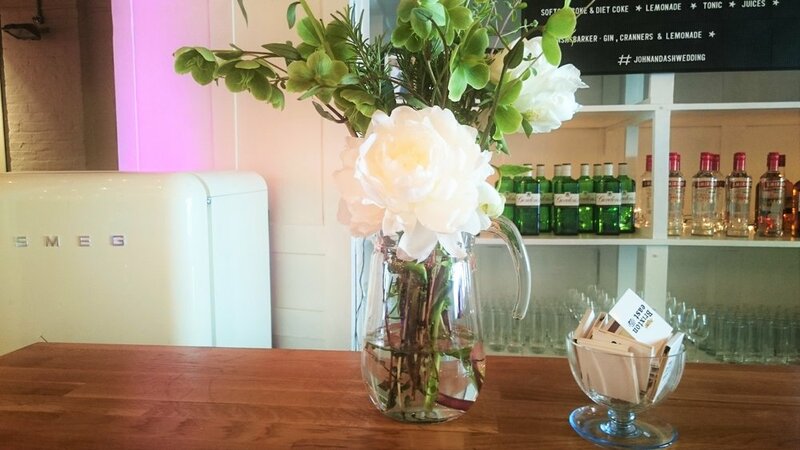 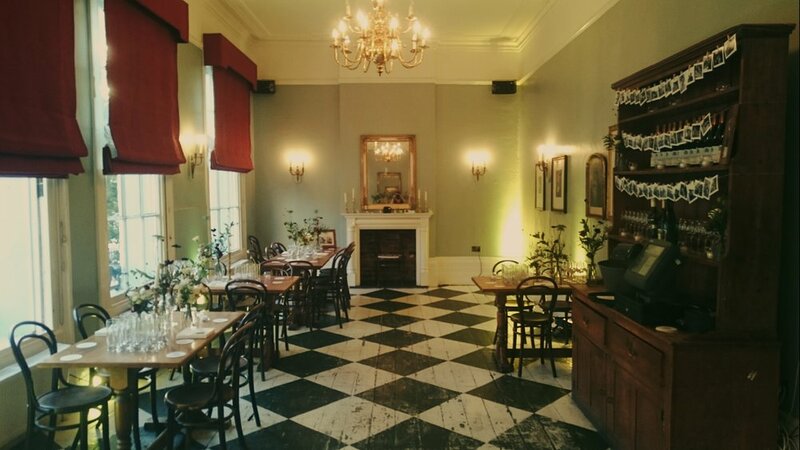 Here I provided the table decor, additional venue props, designed bespoke gin cocktails, sourced the brilliant caterer, did the bar and had my trusted event team look after guests.. plus hanged meters and meters of festoon lighting! 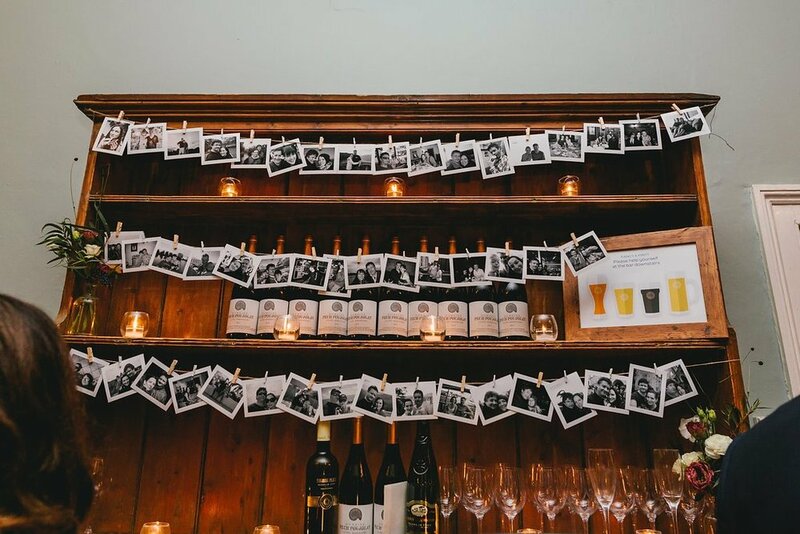 Planning a DIY wedding? 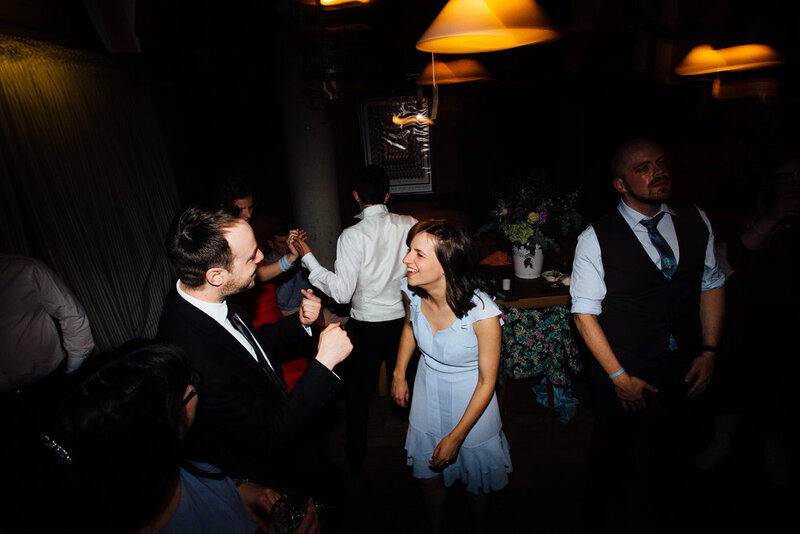 Fantastic, just don’t do it all. 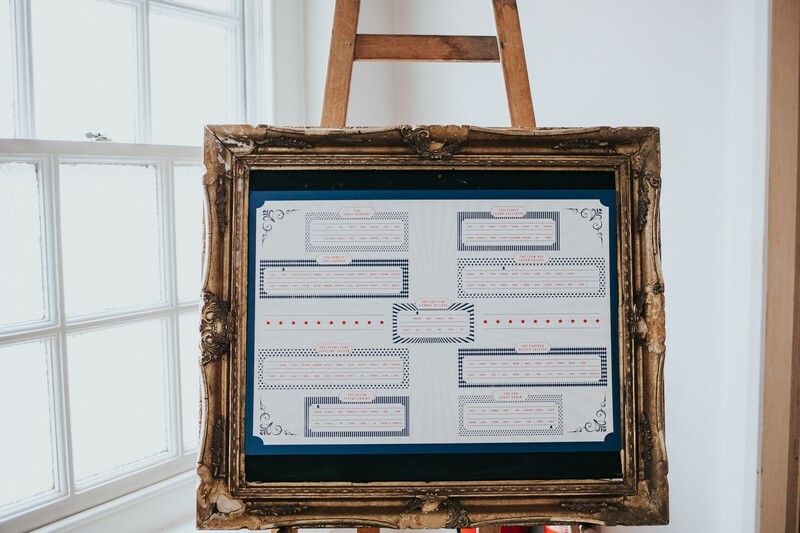 Making the decision to plan your own DIY wedding is a massive commitment (although much less significant than the one on the big day) and one not to be undertaken lightly. 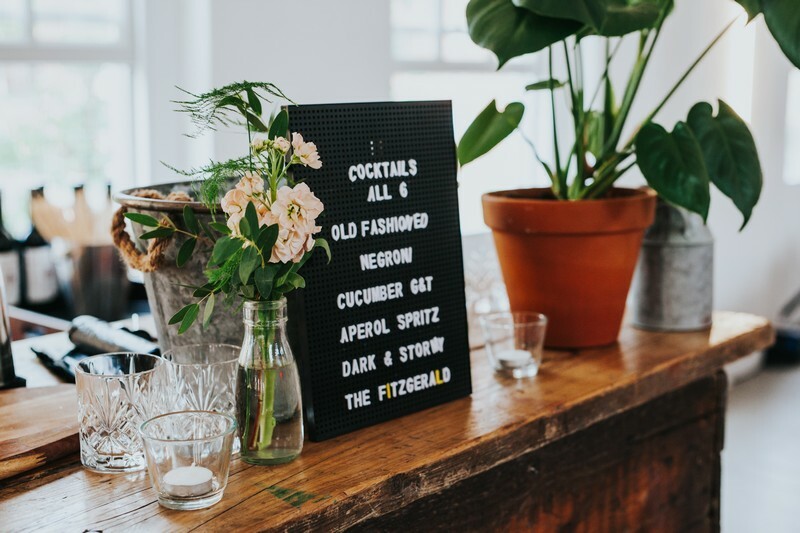 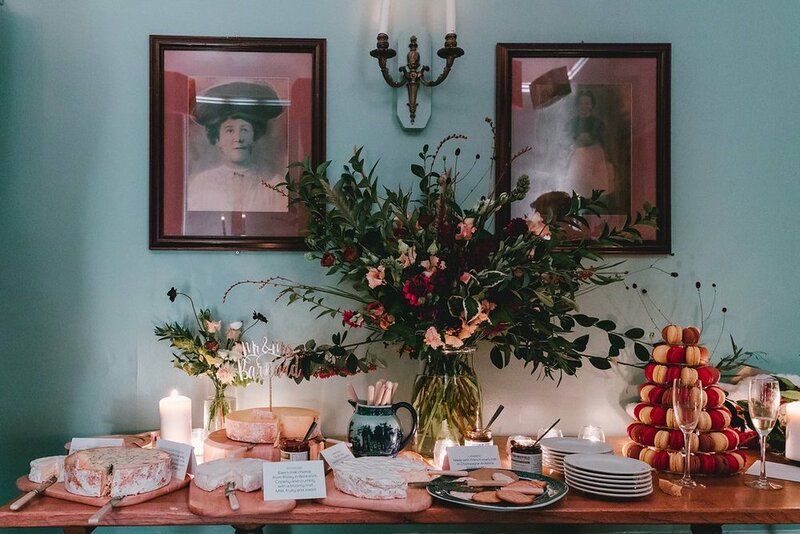 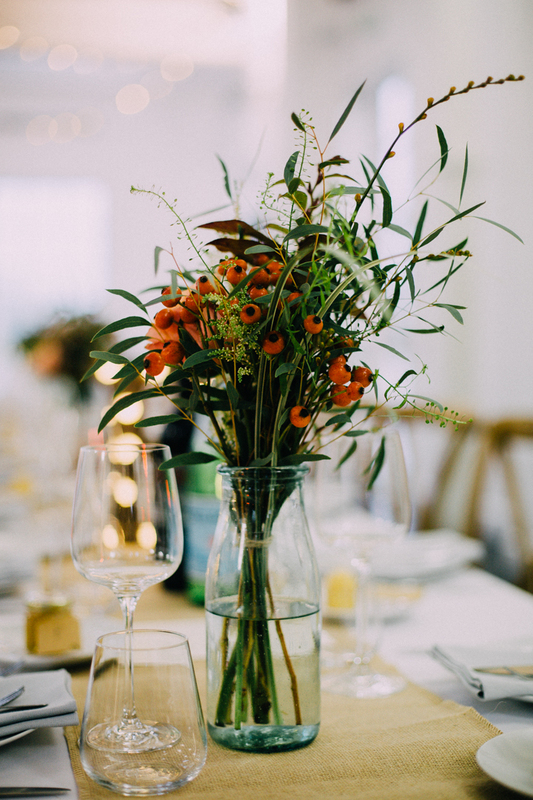 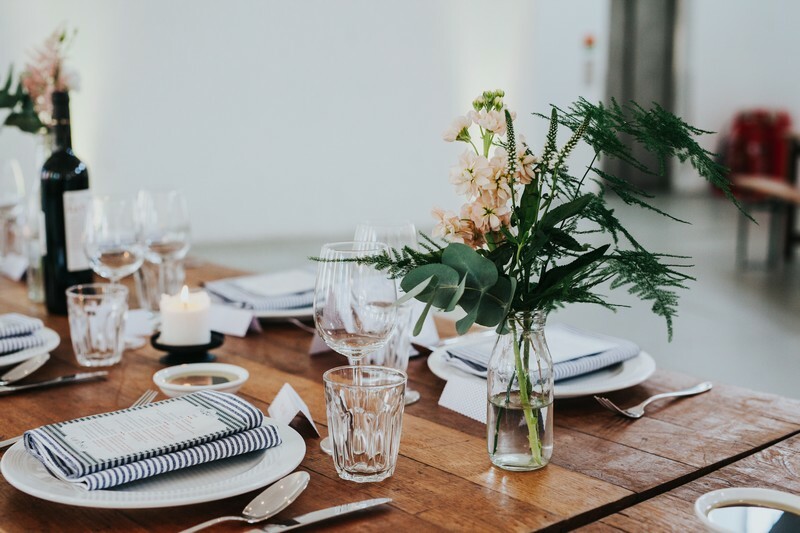 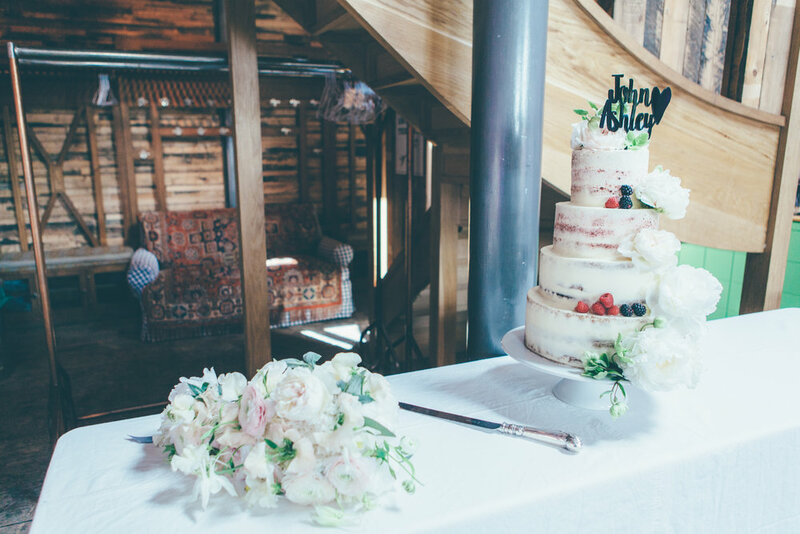 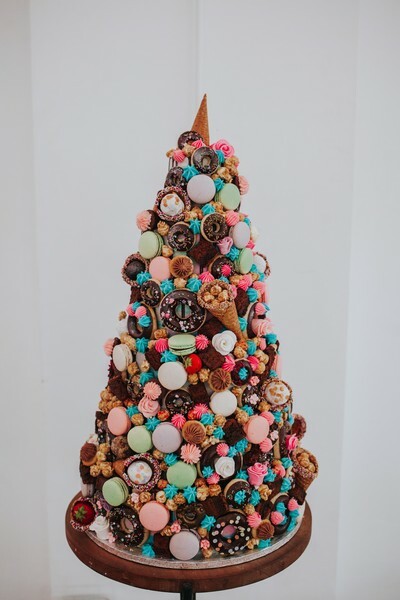 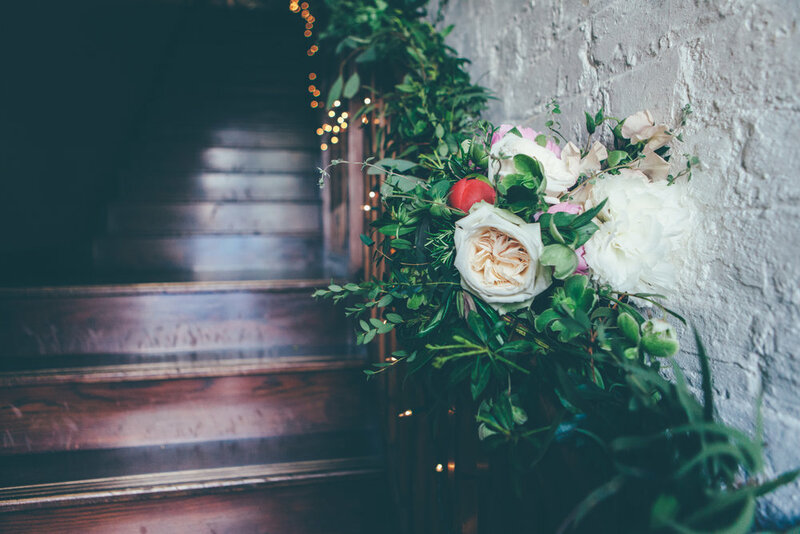 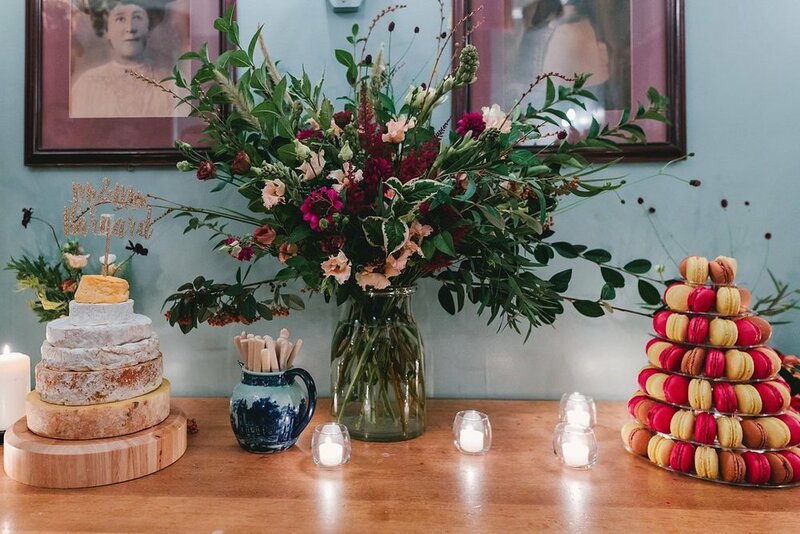 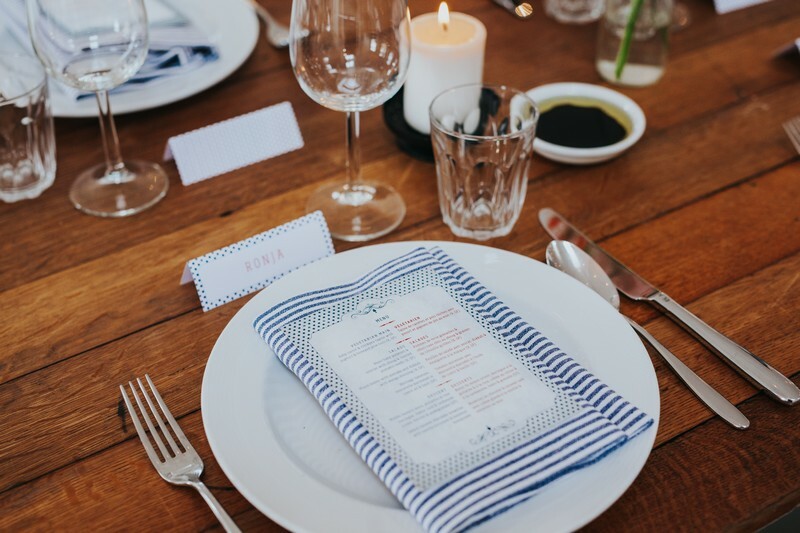 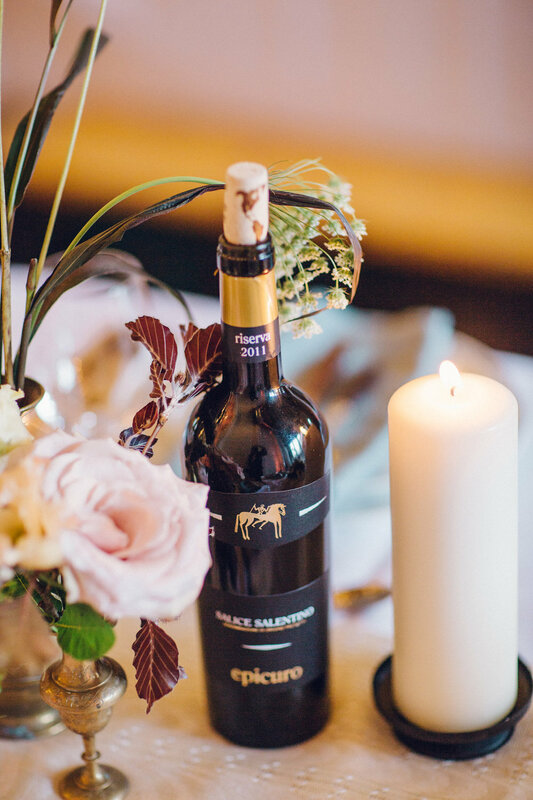 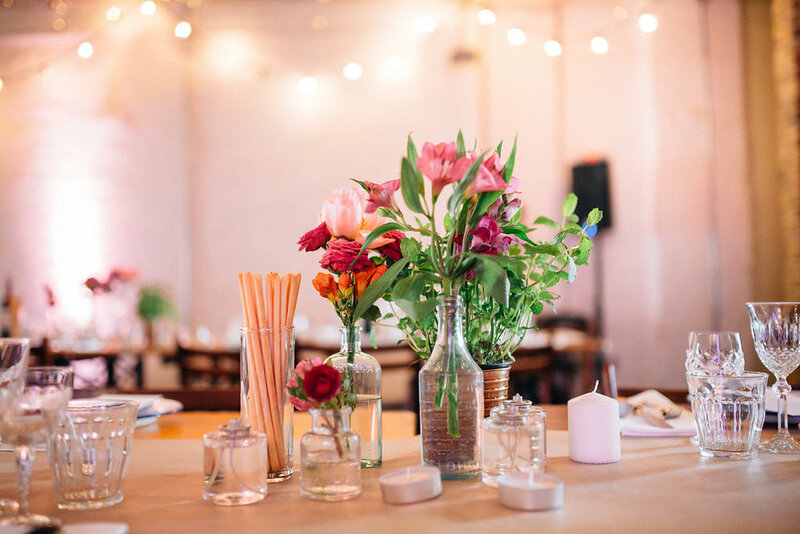 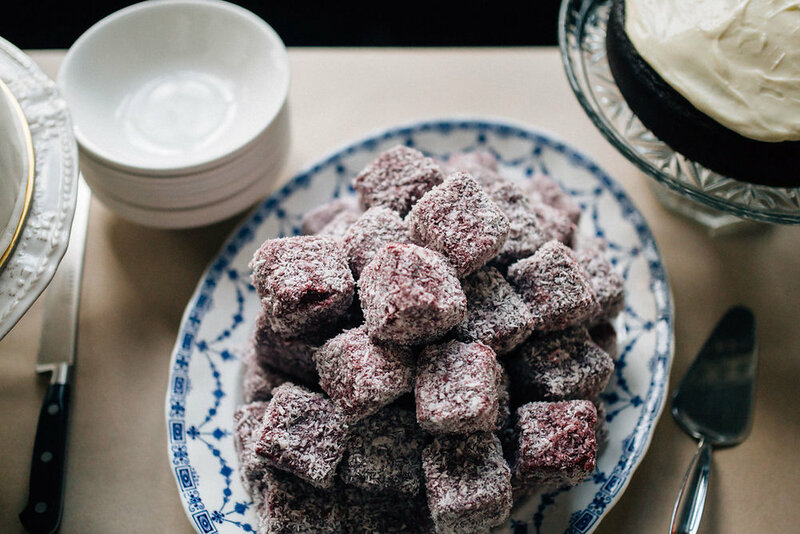 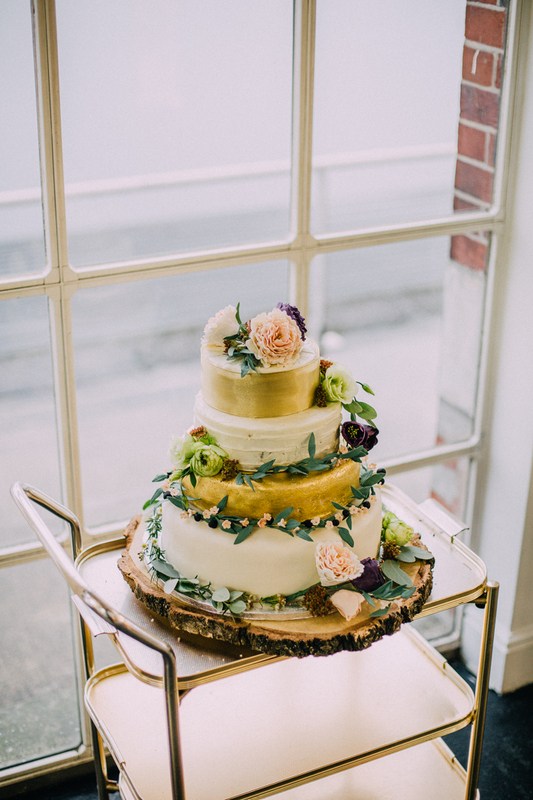 Embellishing your wedding with personal touches like crafty little decorations or perhaps your own home-baked cake is absolutely wonderful, but what about when it comes down to the logistics? 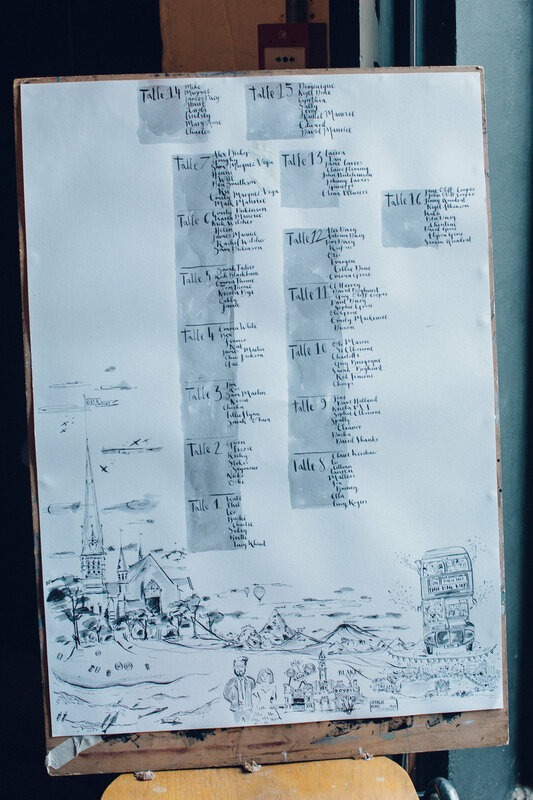 What about when things get frantic? 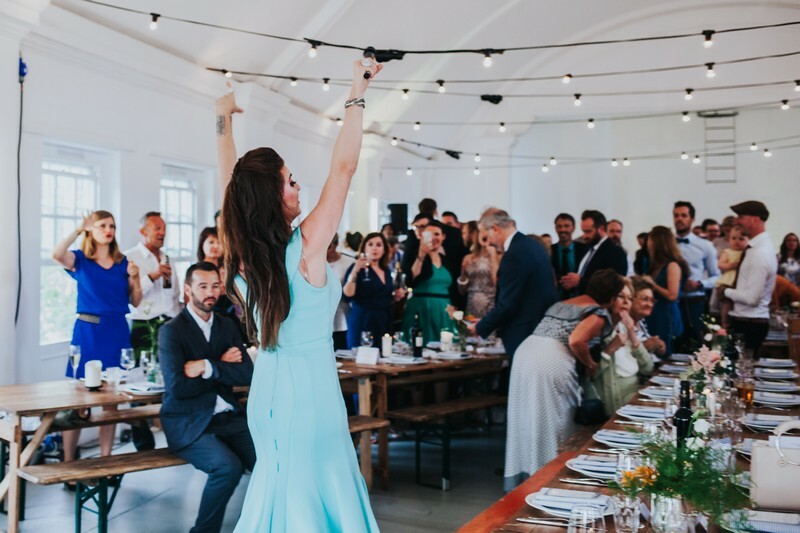 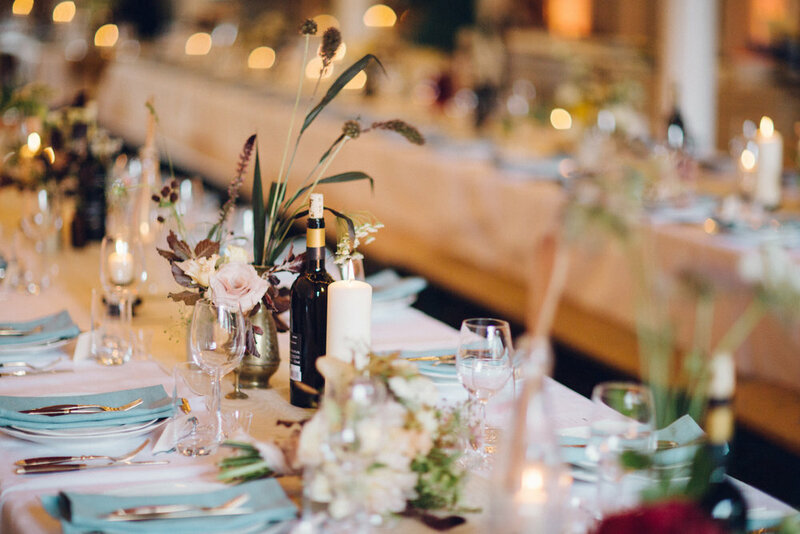 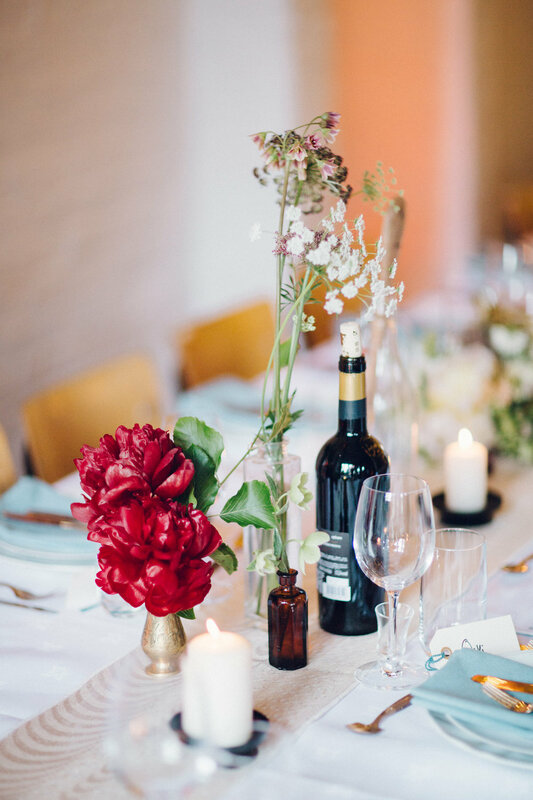 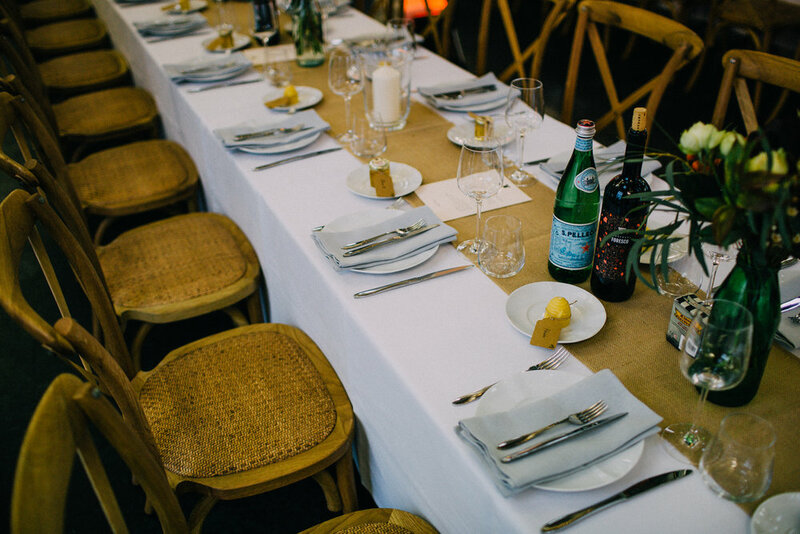 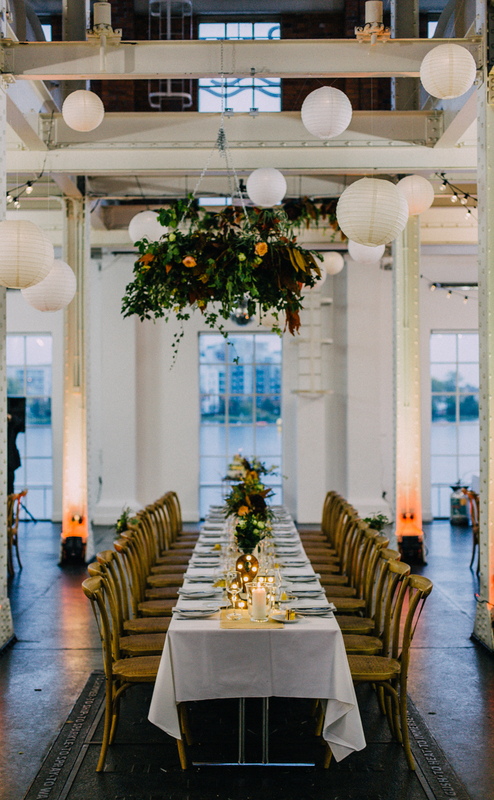 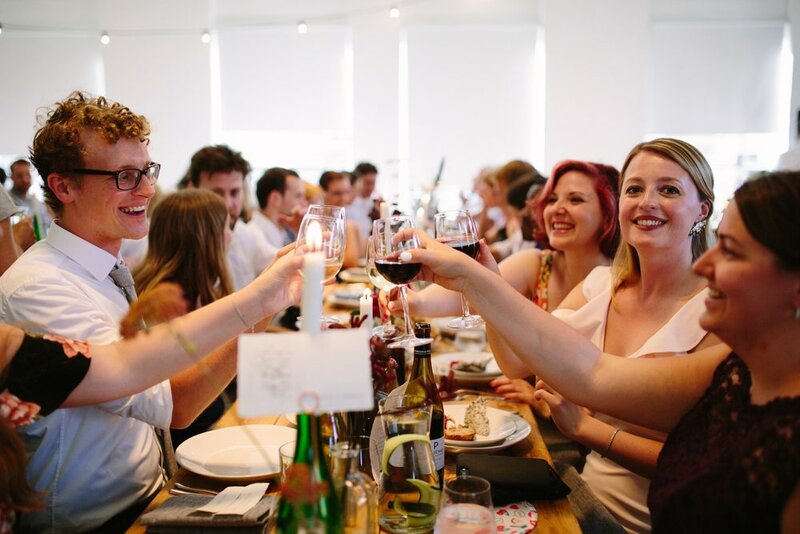 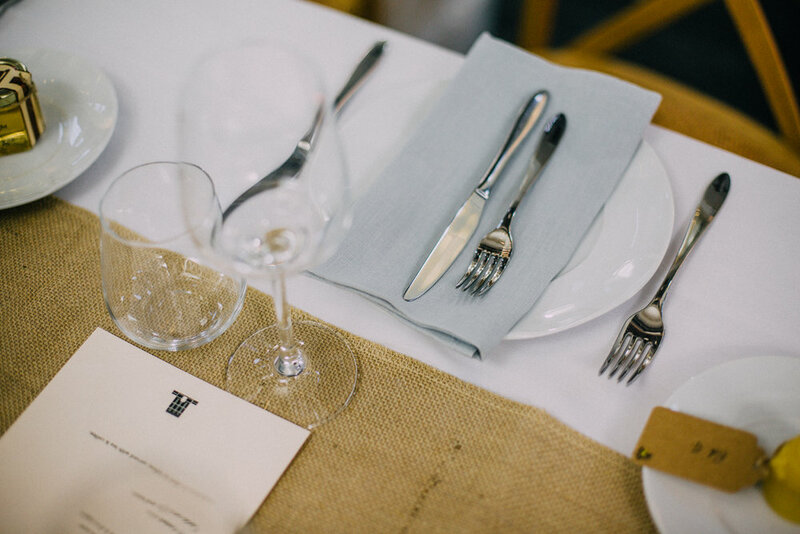 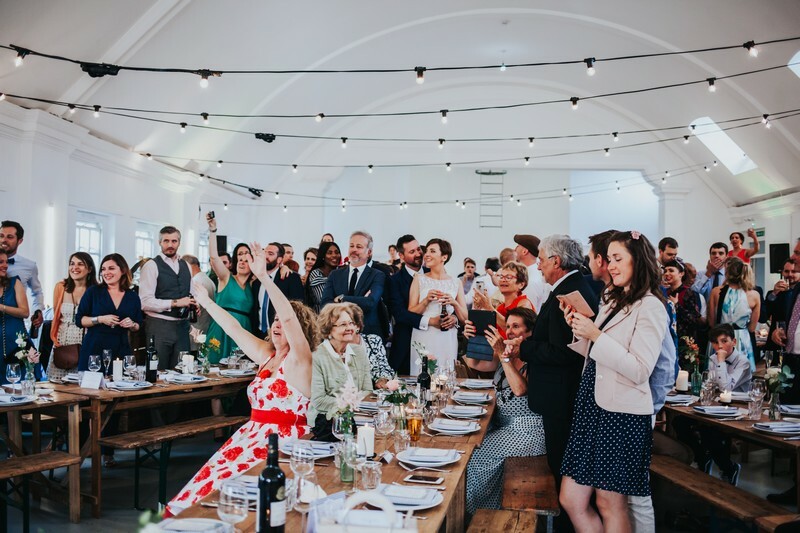 Even if you have friends or family experienced in the world of event planning, it can be quite unfair to lump them with responsibility, especially if you want them to enjoy your nuptials just as much as you. 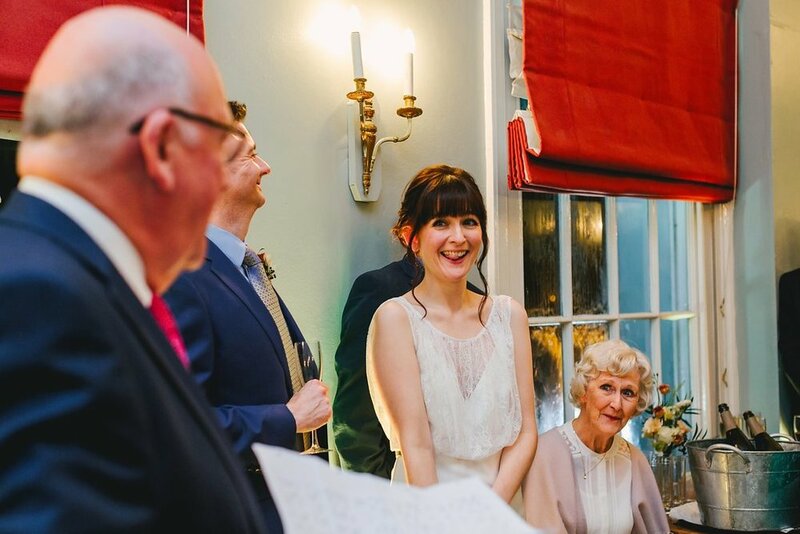 Probably the best kind of DIY wedding is the partial DIY wedding. 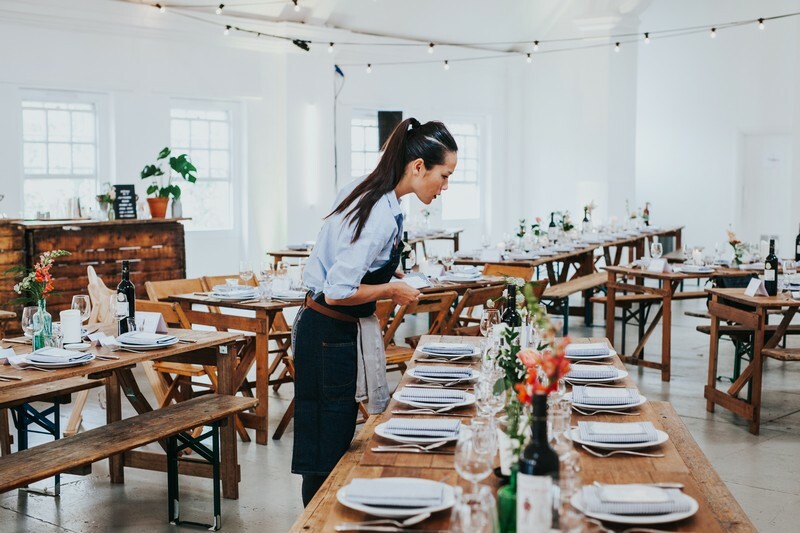 Hiring an experienced planner can save you from making costly mistakes, while still letting you retain that hands-on approach you desire. 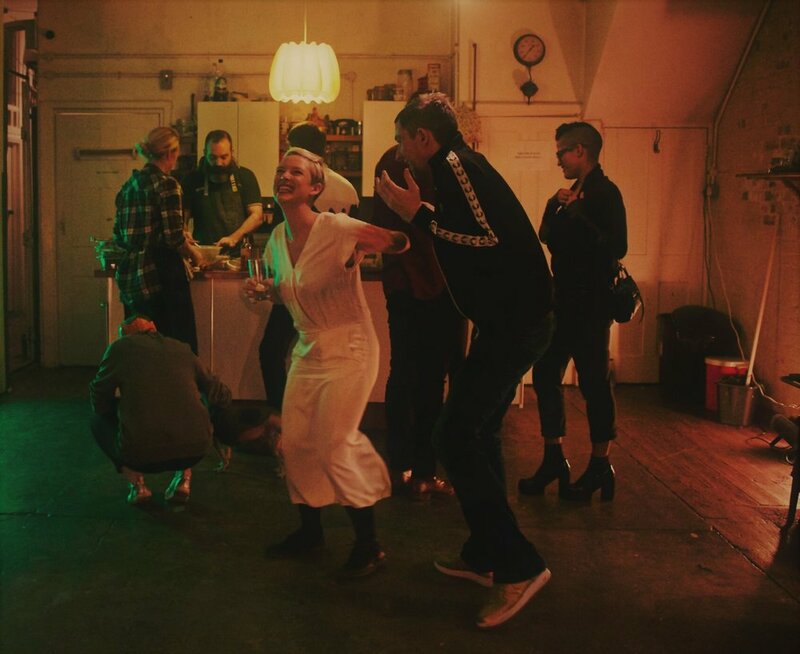 But what can I do on my own? 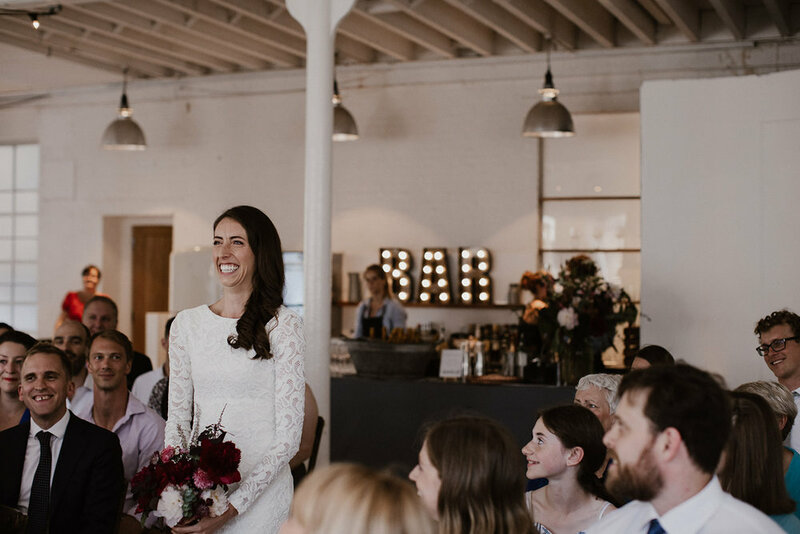 There are, of course, a lot of options to explore before you hire a planner, and that’s only logical. 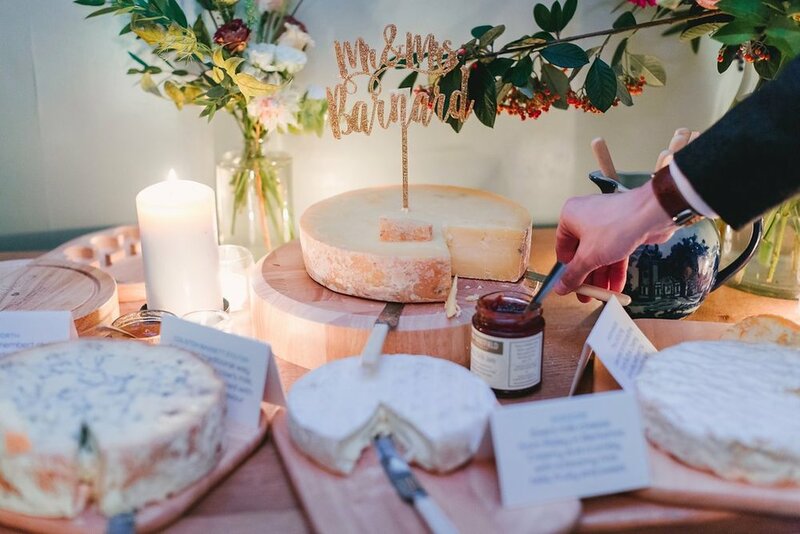 Invites, cakes (or cheese! 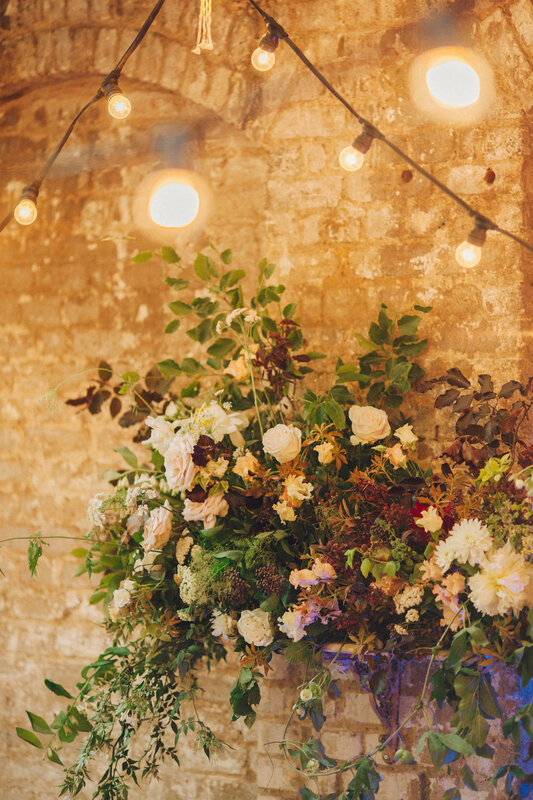 ), décor, or your own non-traditional ideas, are all realistic jobs you can take on - it’s a rule-free world when it comes to DIY, especially if you think outside the box; floristry may not be your forté, but you may be able to come up with something far more unique and cost-effective than the traditional flower arrangement. 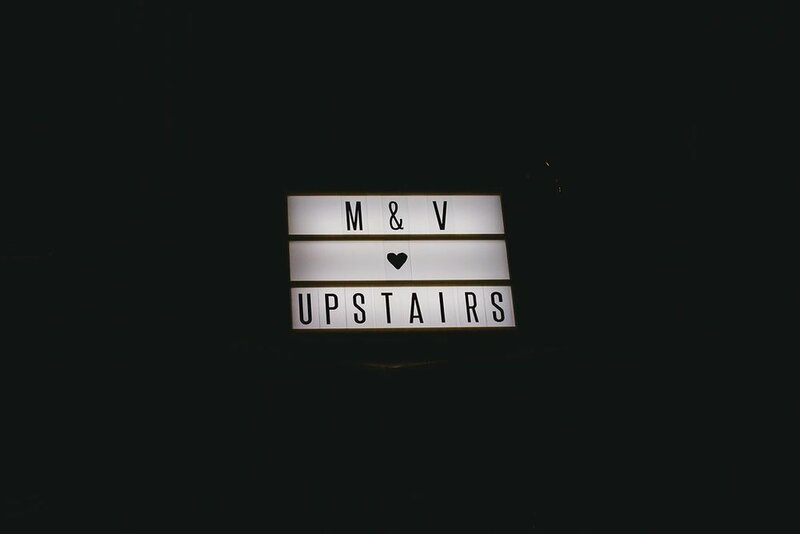 So where do I need help? 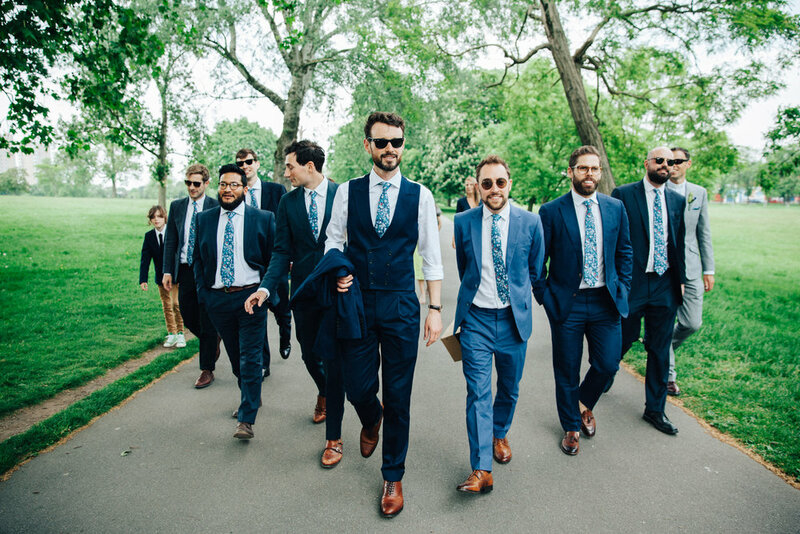 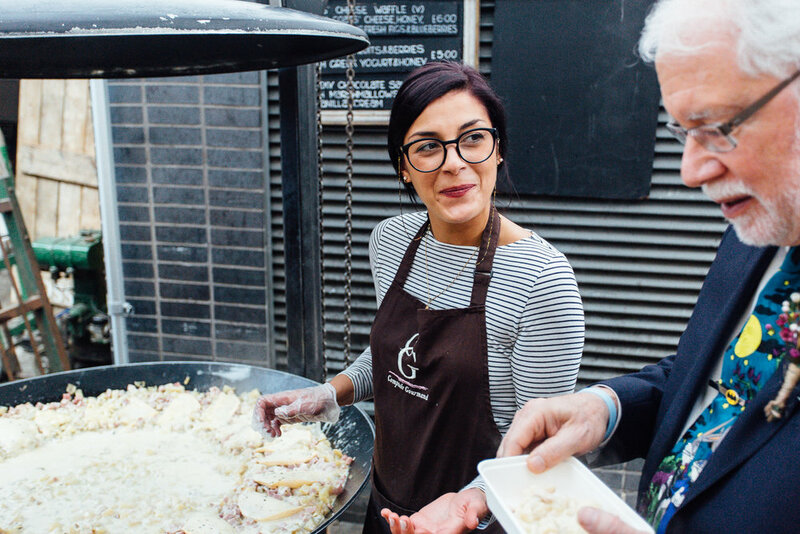 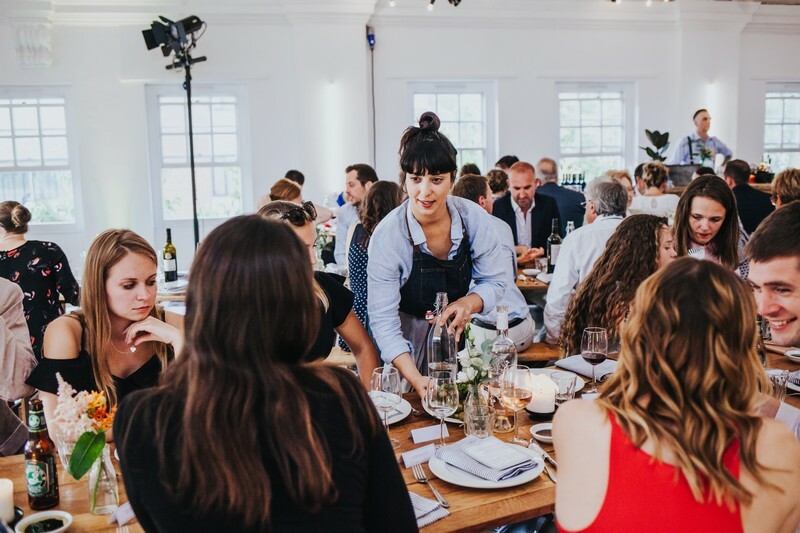 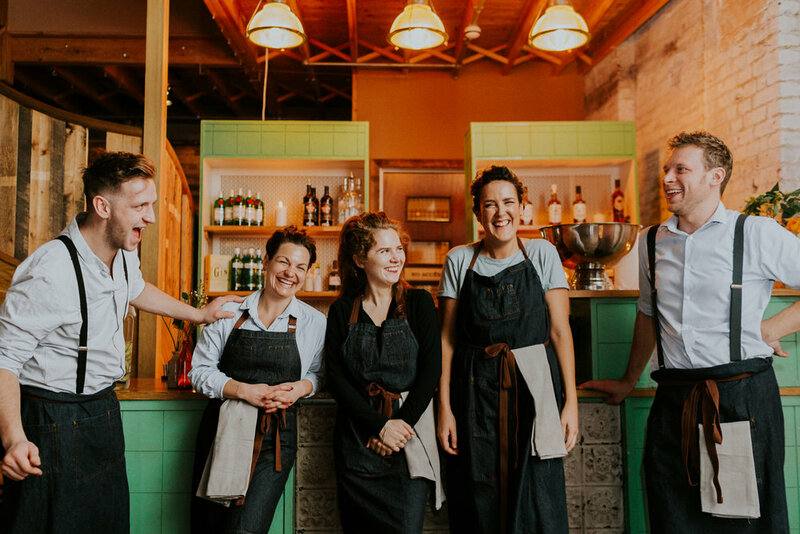 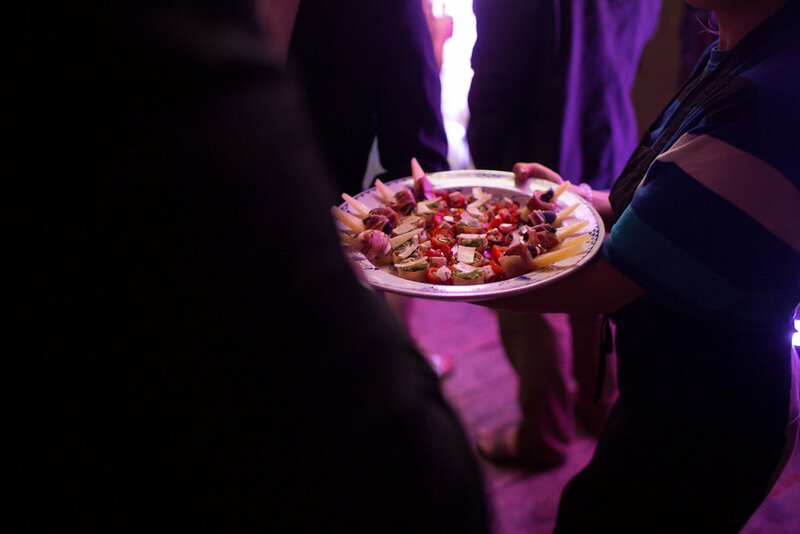 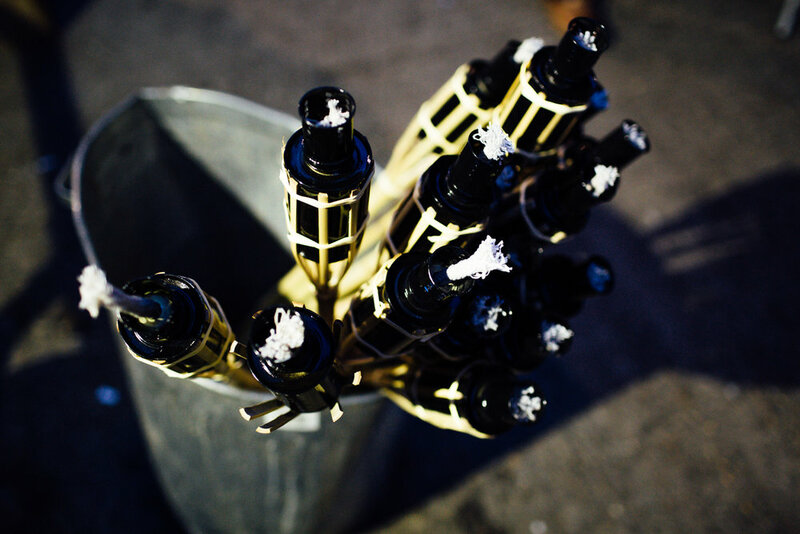 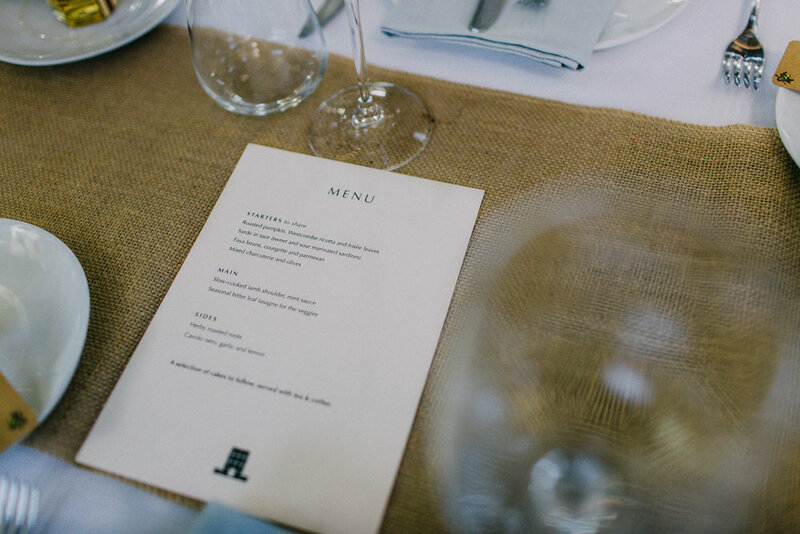 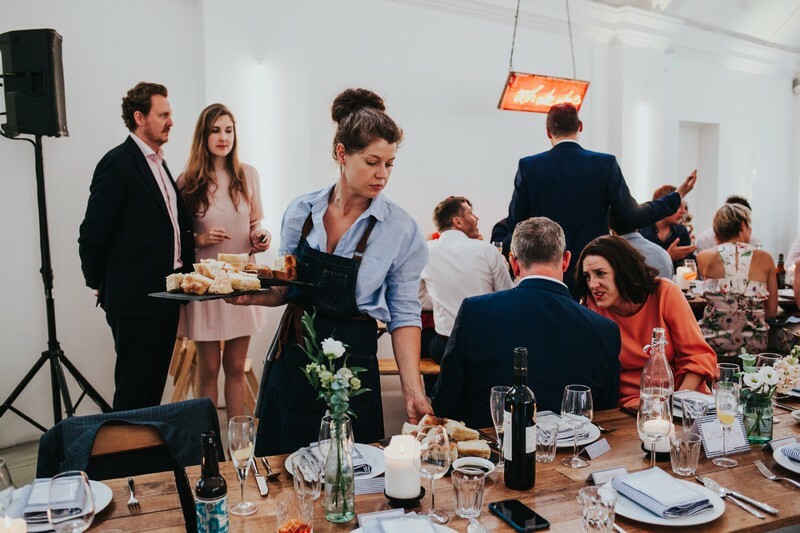 The partial planner comes in where your personal touches leave off - fielding their own, personally picked teams including caterers, bar and serving staff, and with the expertise to run them all smoothly, you can’t afford not to hire one. 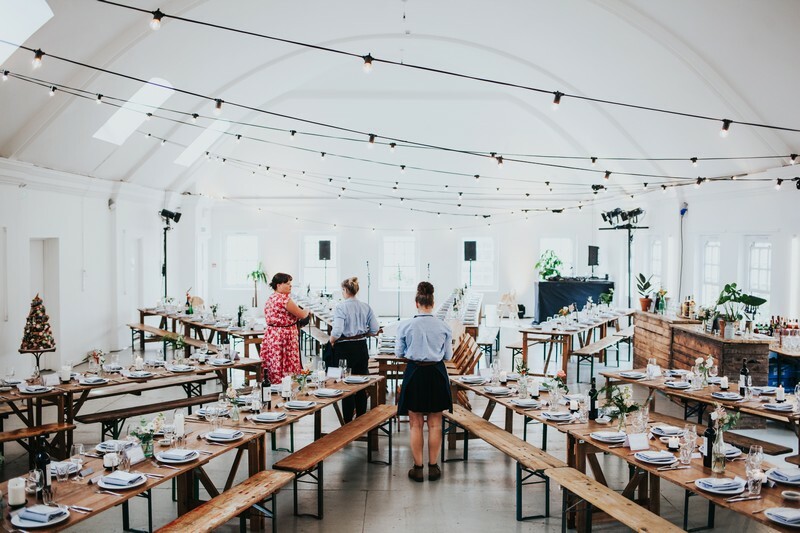 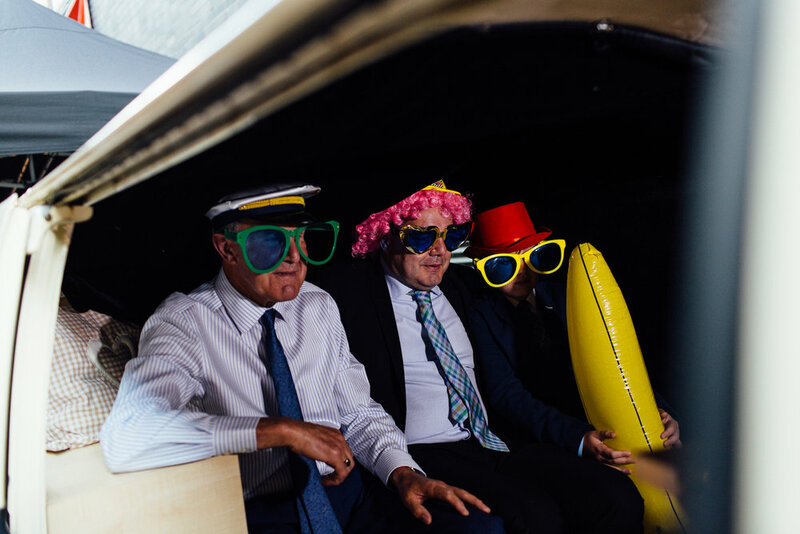 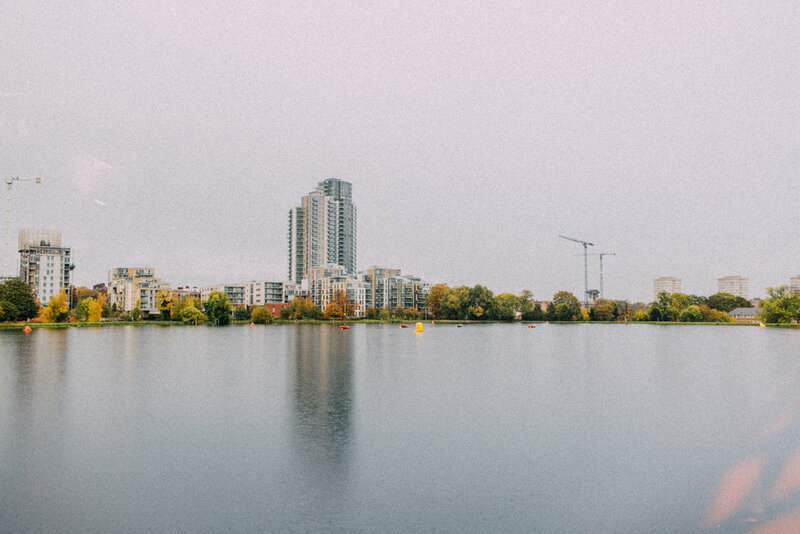 Oftentimes the best dry-hire venues will be far more on-board if they know that you’ve got a professional team behind you, and this is where their contacts in the events industry come in handy. 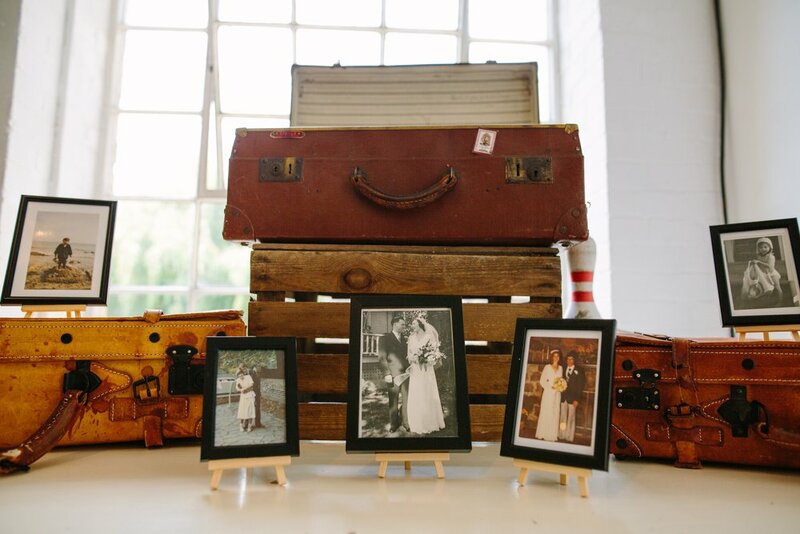 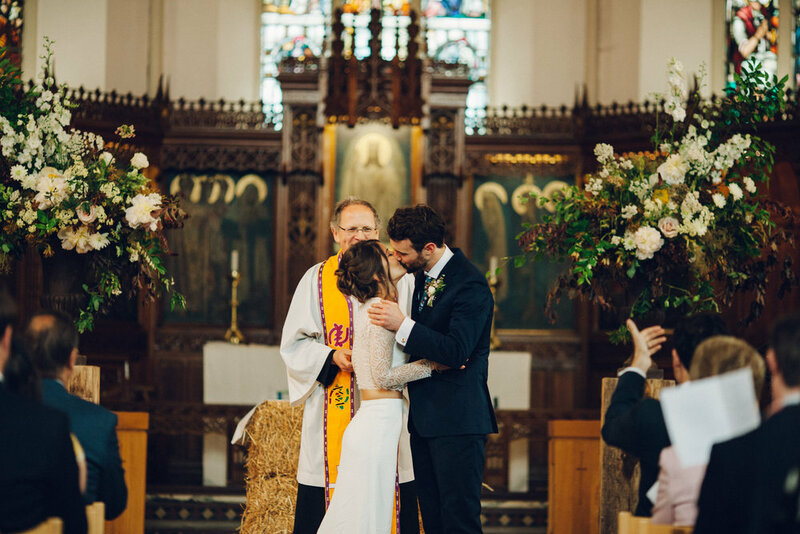 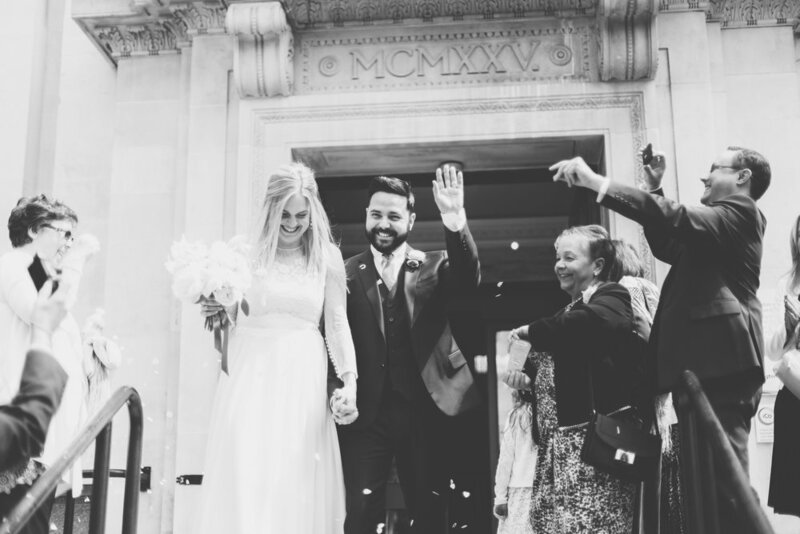 I love nothing more than helping creative, non-traditional couples realise their dream wedding. 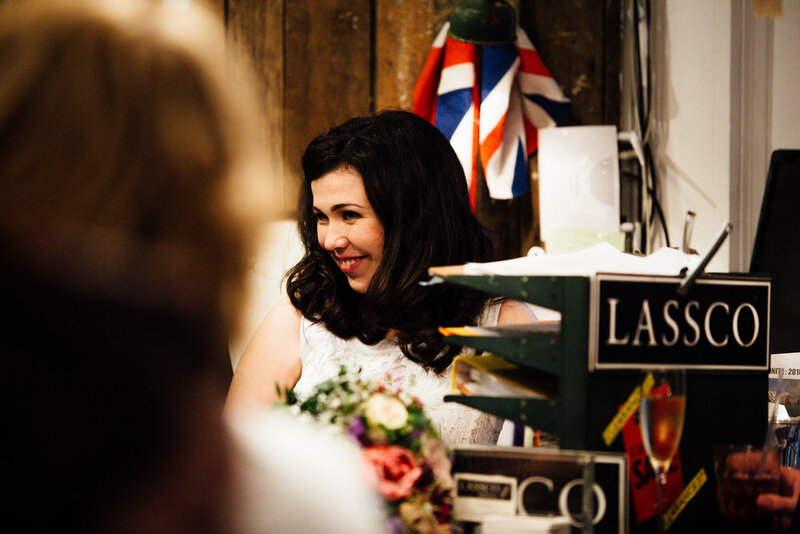 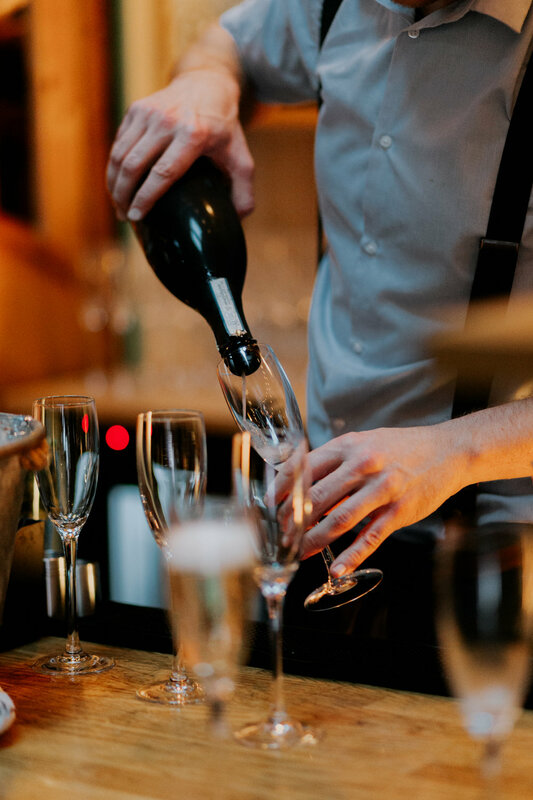 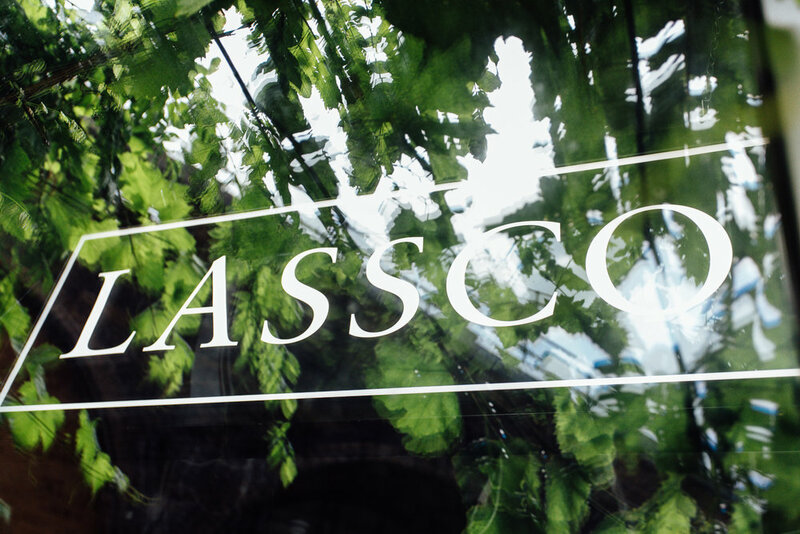 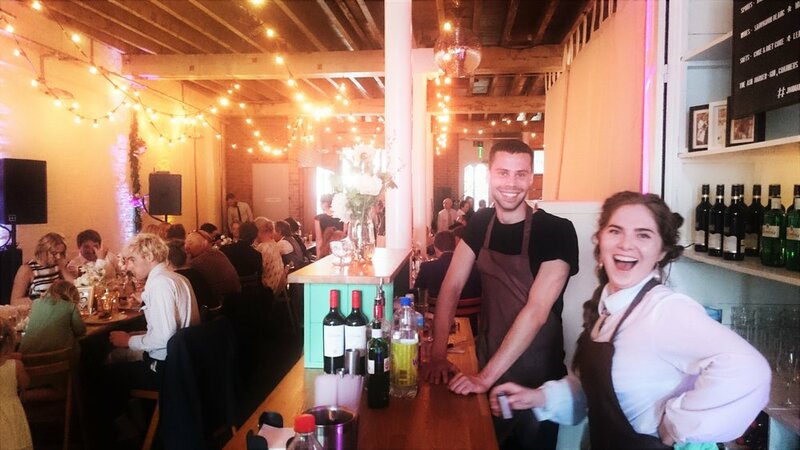 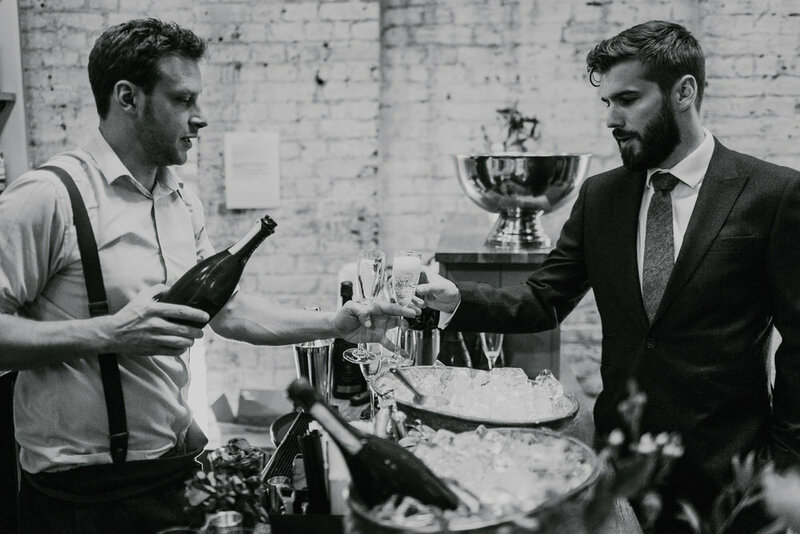 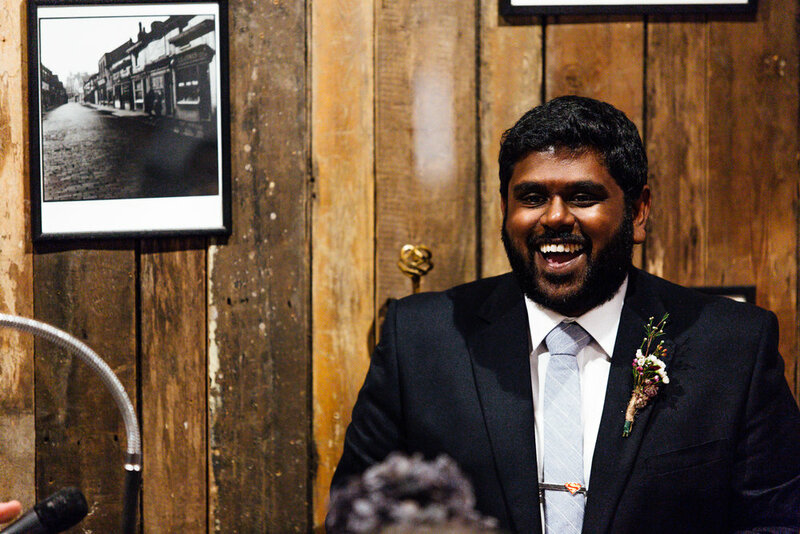 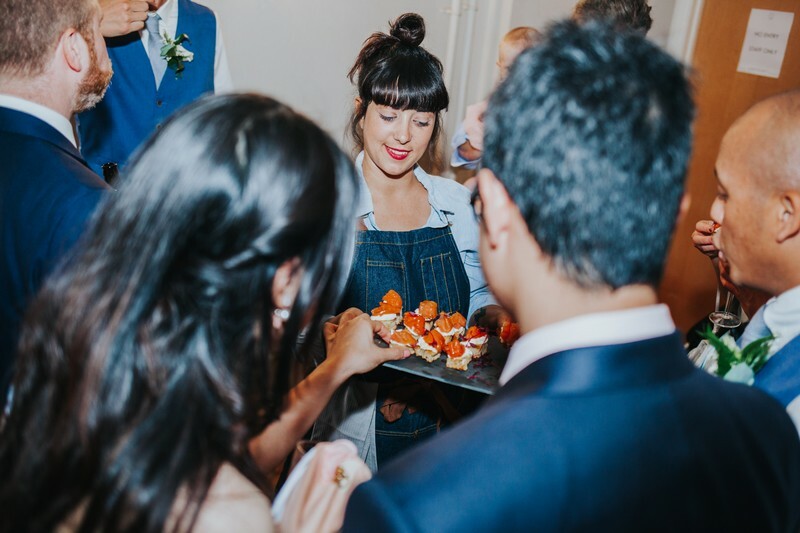 Not being your typical wedding planner, on top of everything else, I’m a fully-licensed bar operator, and my background is in bespoke food, drink and production. 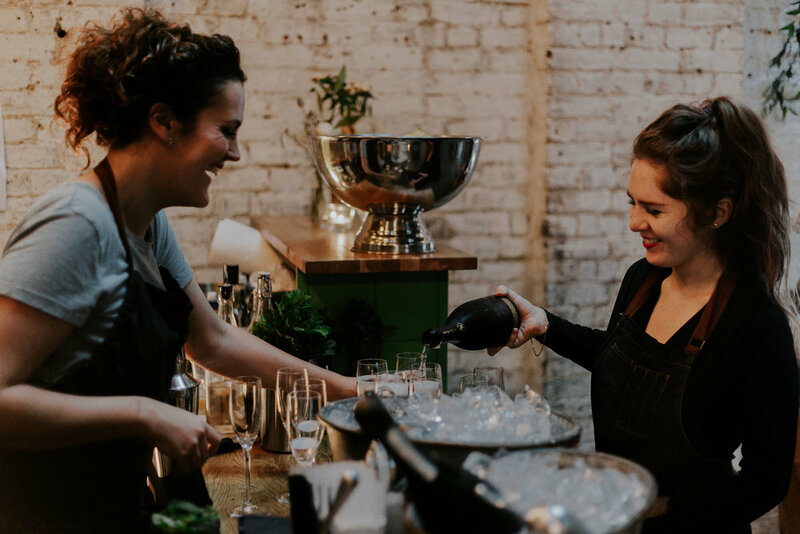 I bring all of my knowledge to the table at every event; think of it like hiring a best-friend professional working just for you. 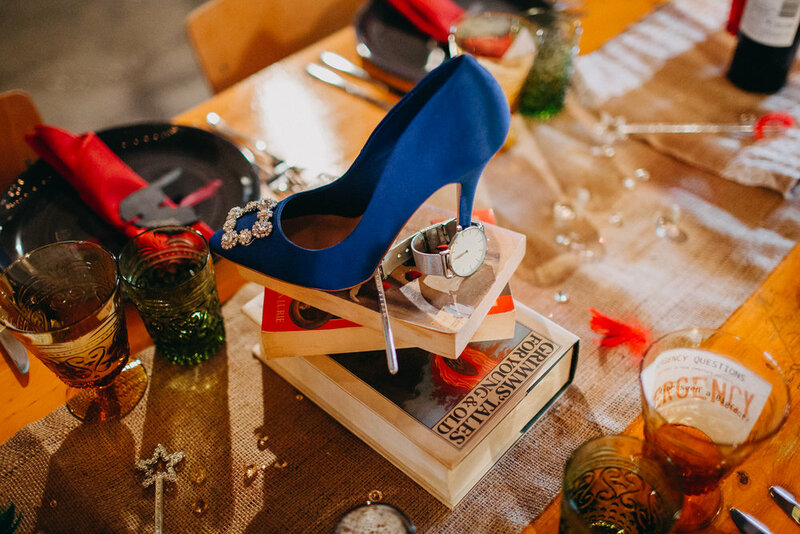 If you’ve read this far then it’s likely you are in the middle of or looking to plan a quirky DIY wedding. 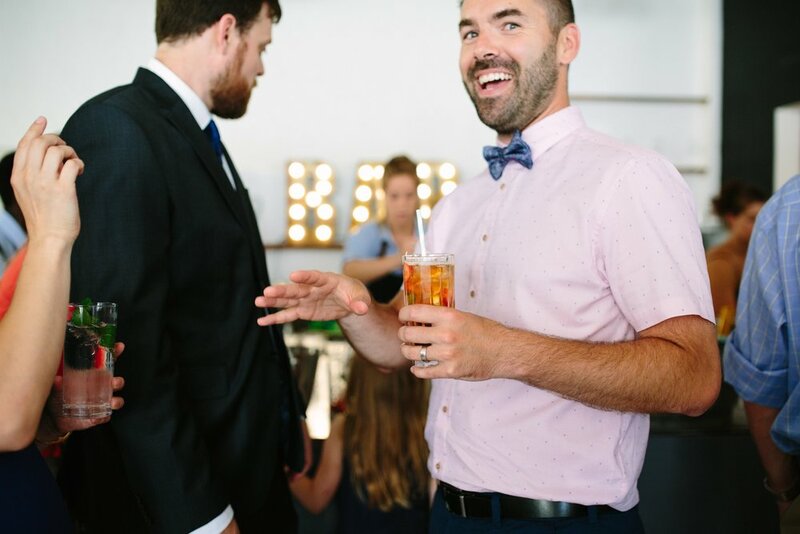 Also, it’s likely you’re feeling the stress. 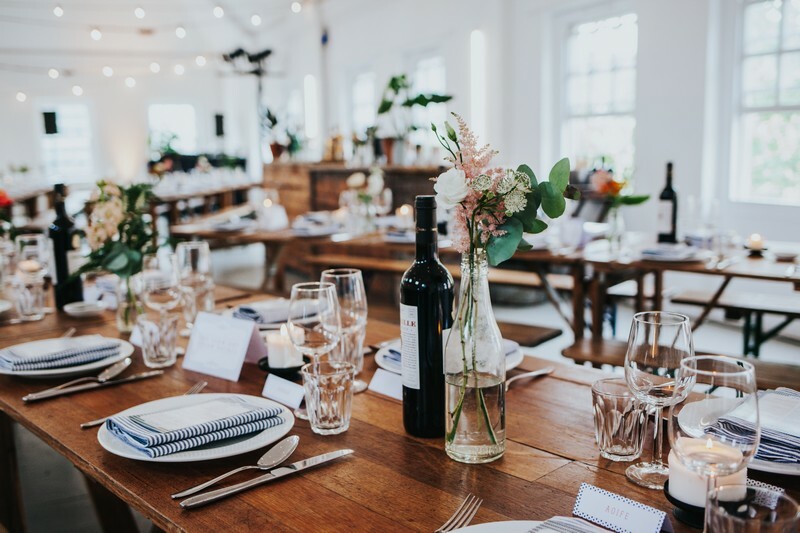 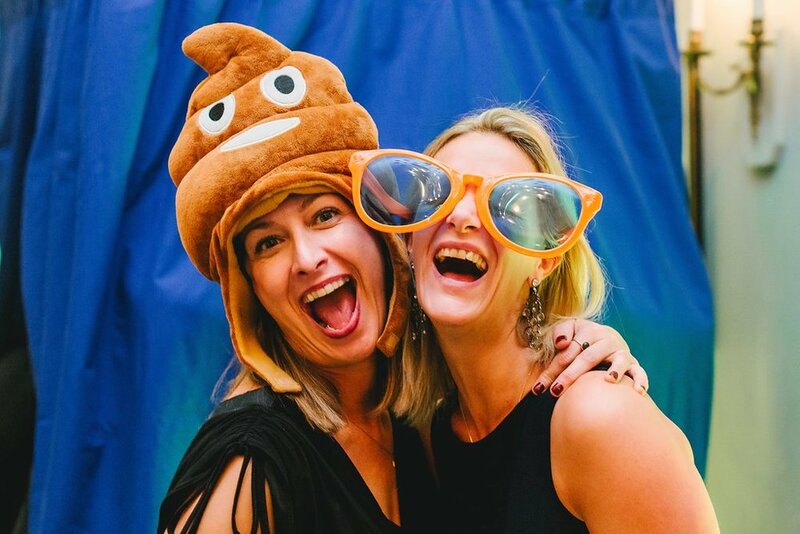 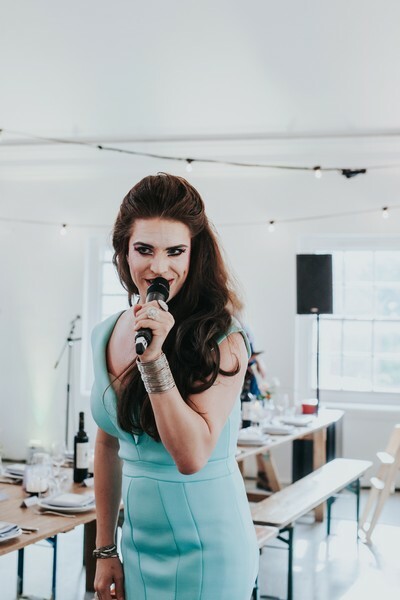 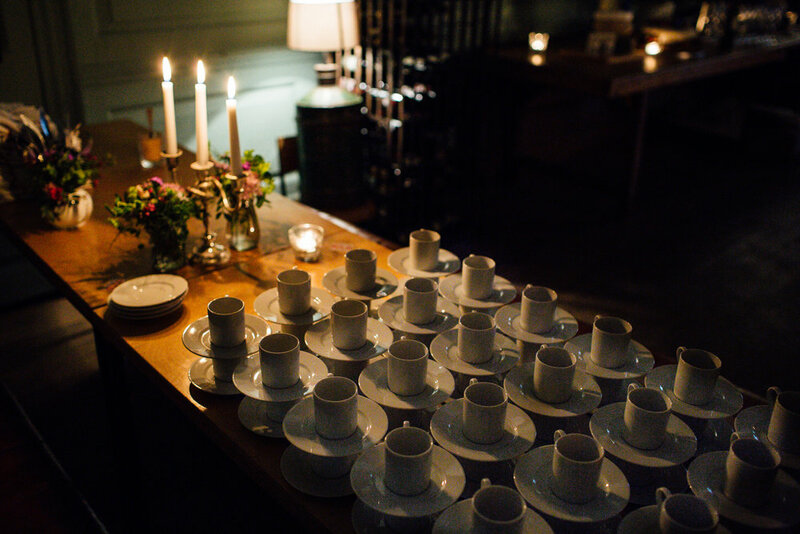 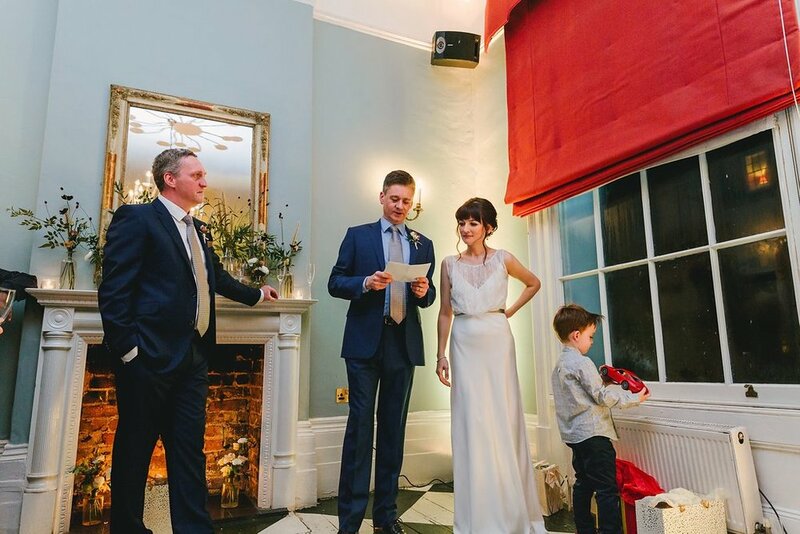 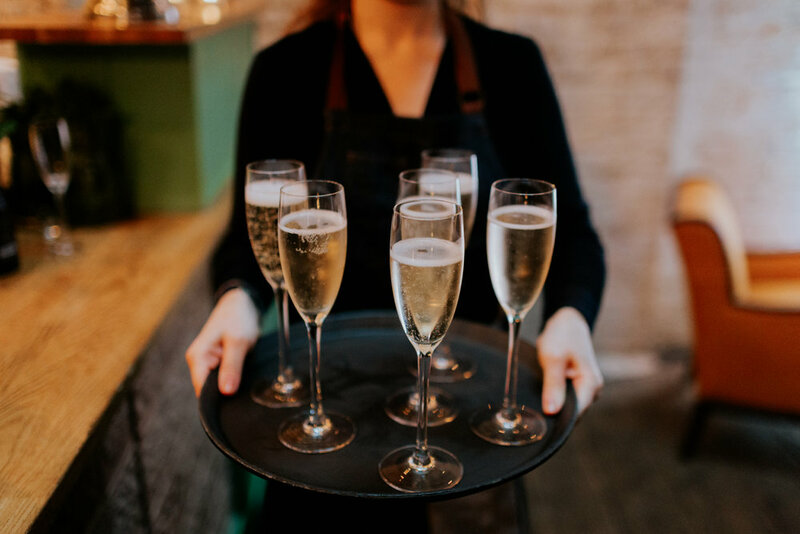 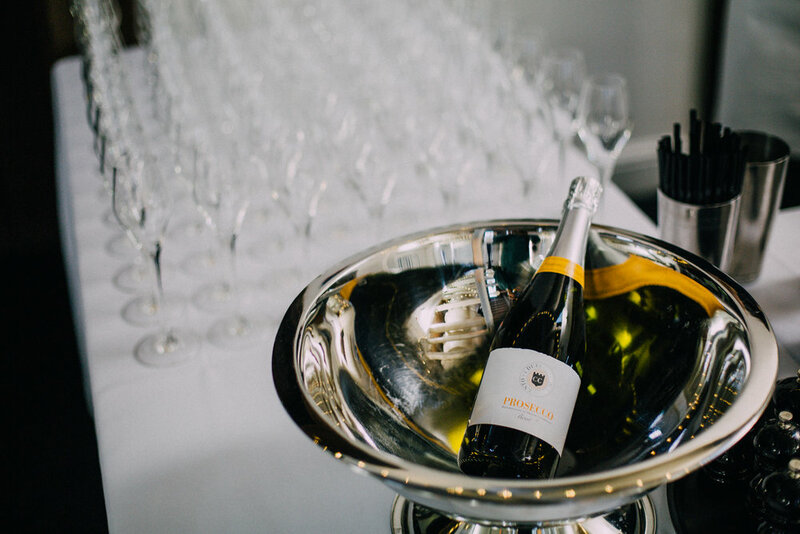 I operate as both a full and partial event organiser where you can rely on me to guide you through all the important, overwhelming decisions you make, making it a stress-free process. 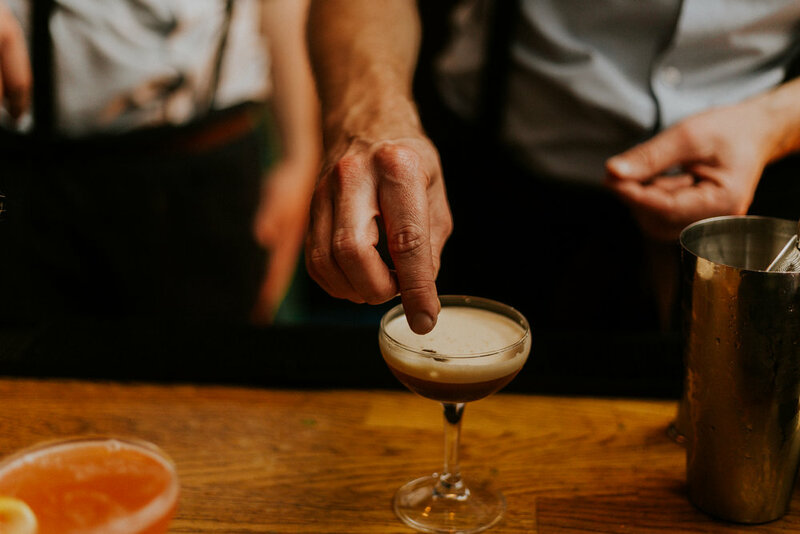 Need my help? 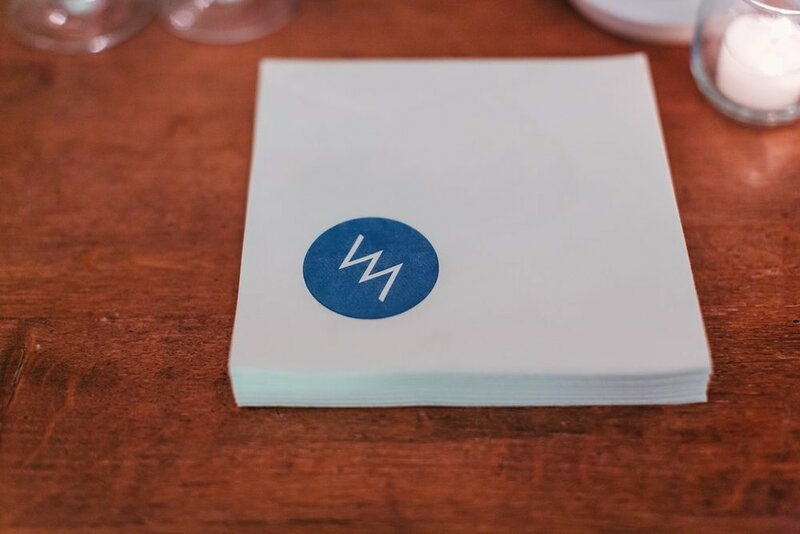 Get in touch here for a non-obligation chat. 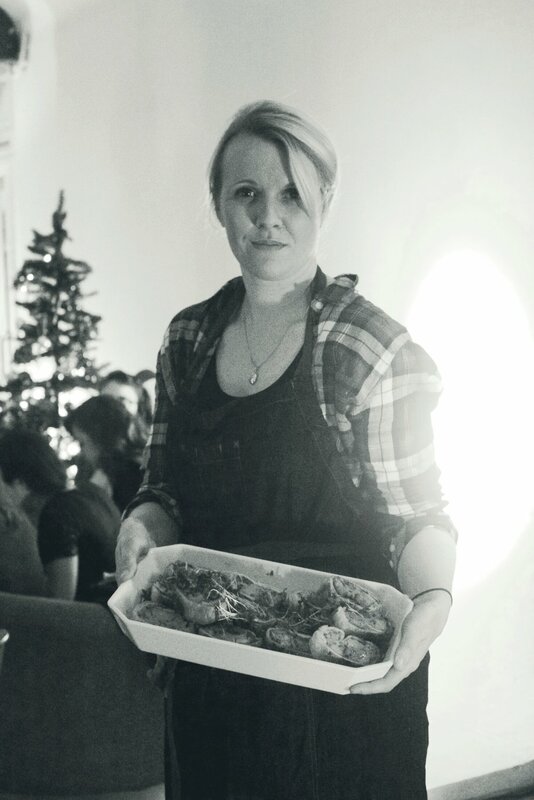 Christmas parties are always fun. 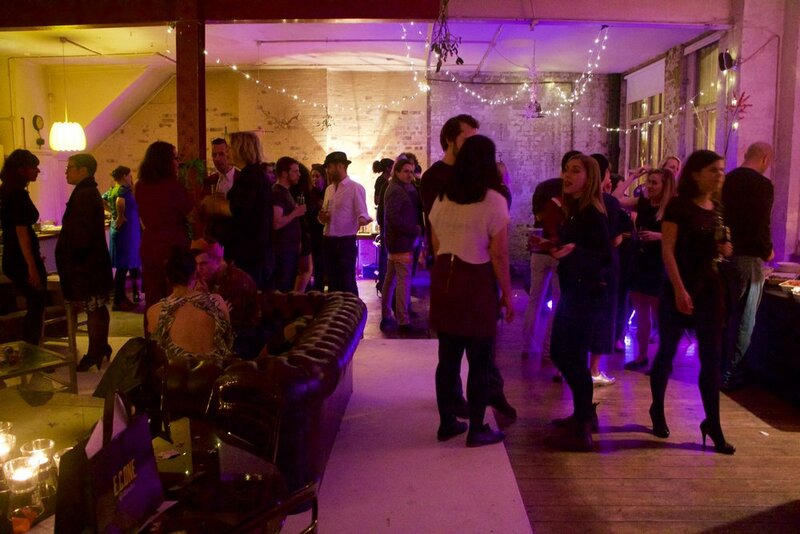 And even more so when they are in a cool, unique venue that feels like someones house. 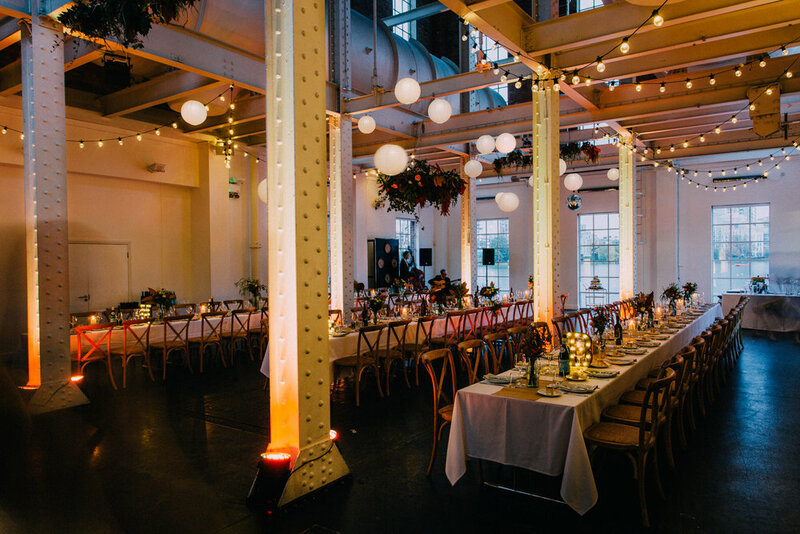 A large warehouse type one that is. 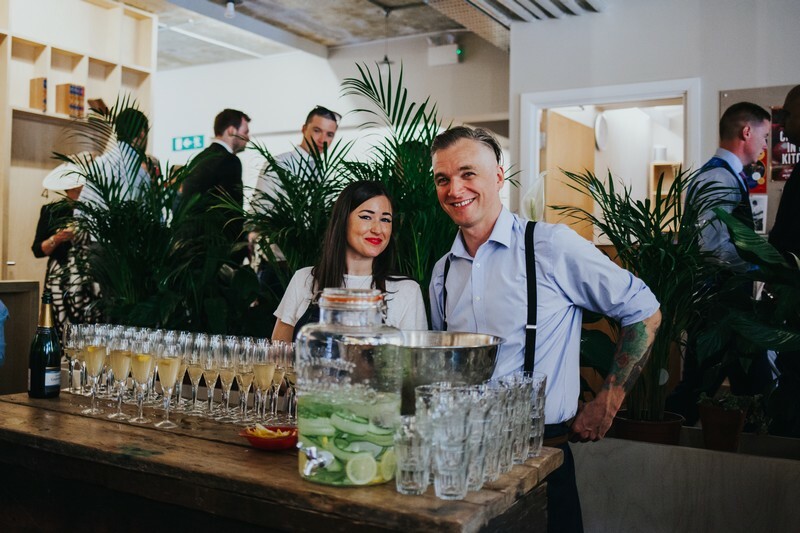 "Thank you so much for all of your work ahead and on the night of the party! 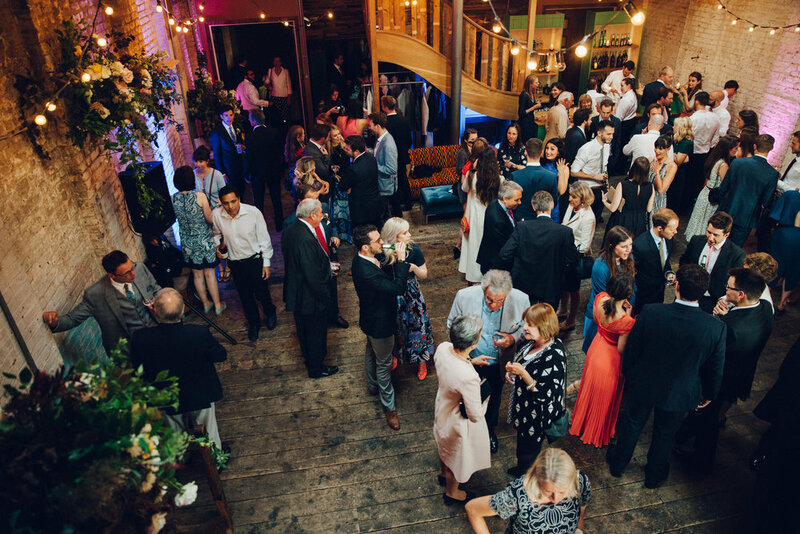 Everyone had a wonderful time and were raving about the venue!!" 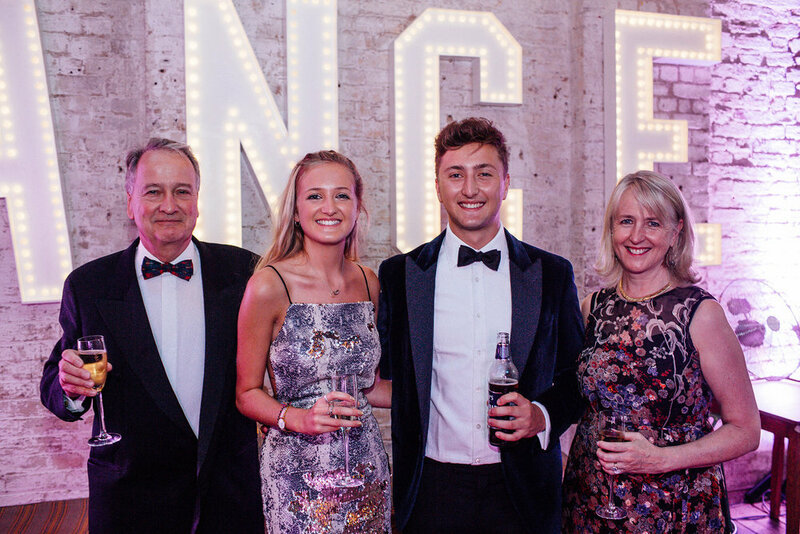 Frankie & Ali's double 21st Birthday party. 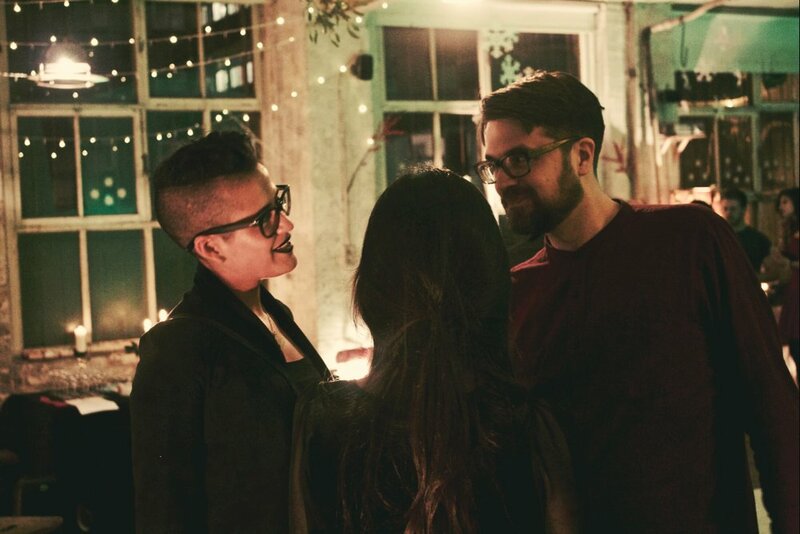 Brother, sister & great friends. 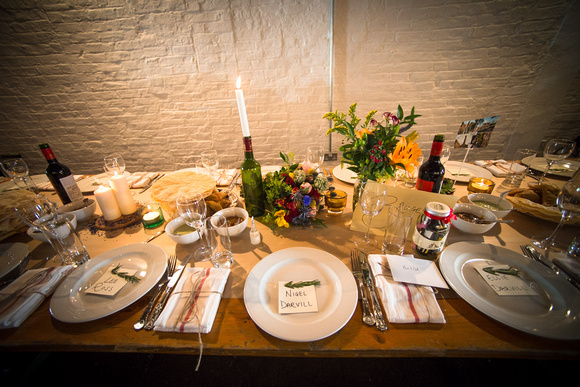 Brief was urban, cool, beautiful, shabby chic, modern, different & fun! 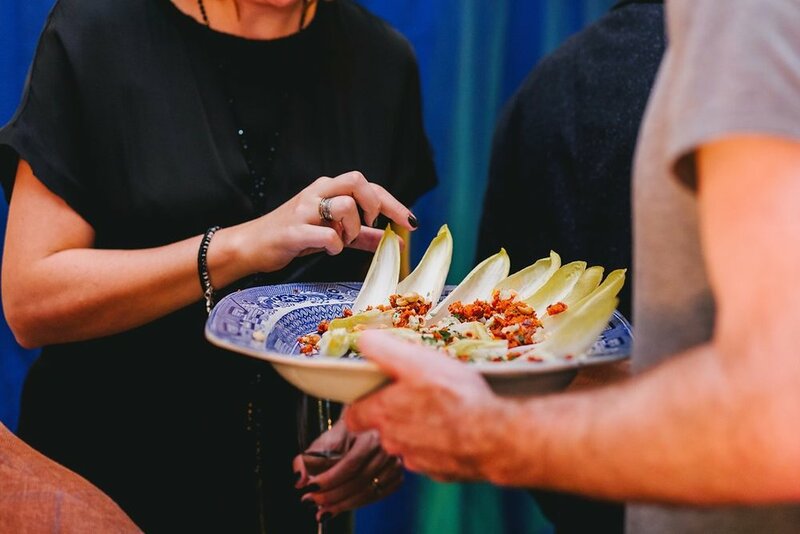 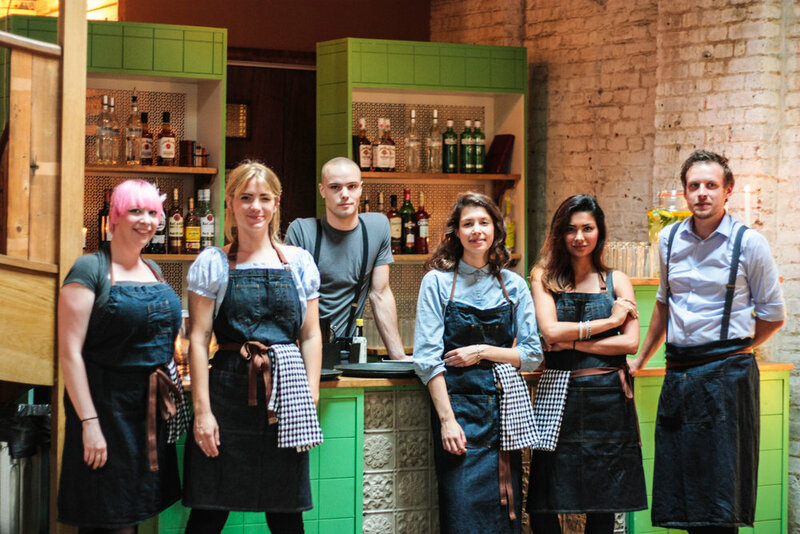 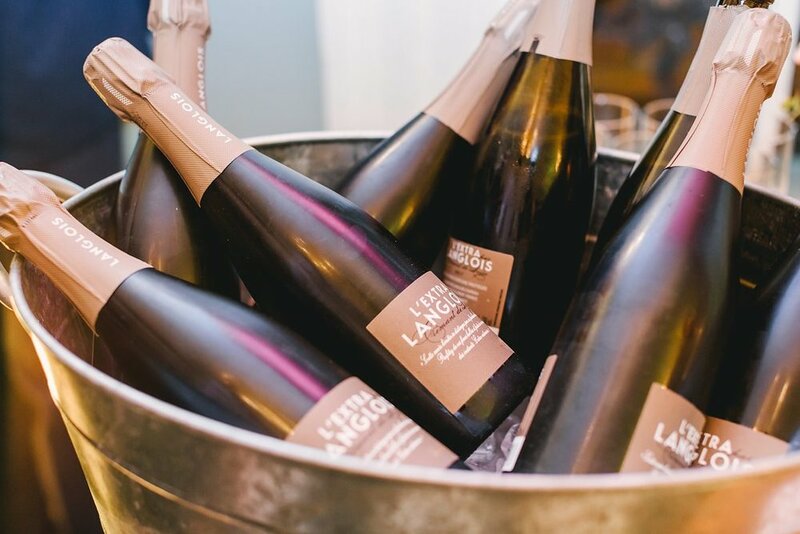 Lots of great tasting food, drinks & an urban cool party. 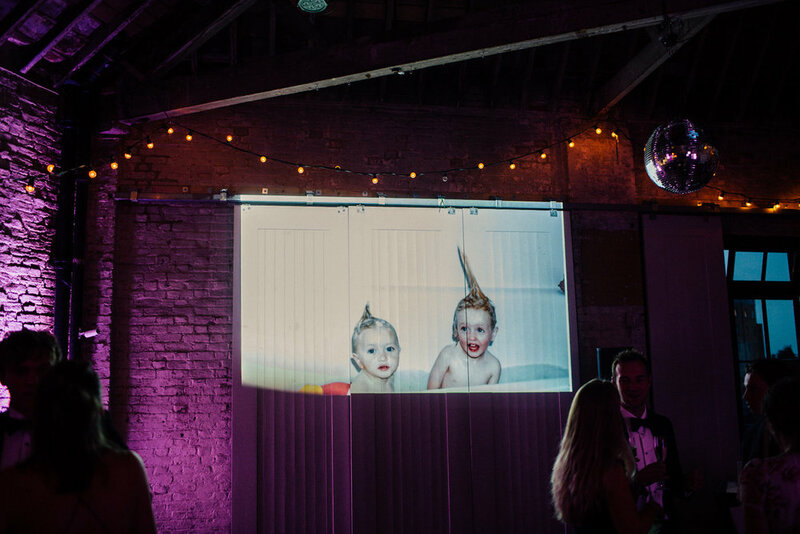 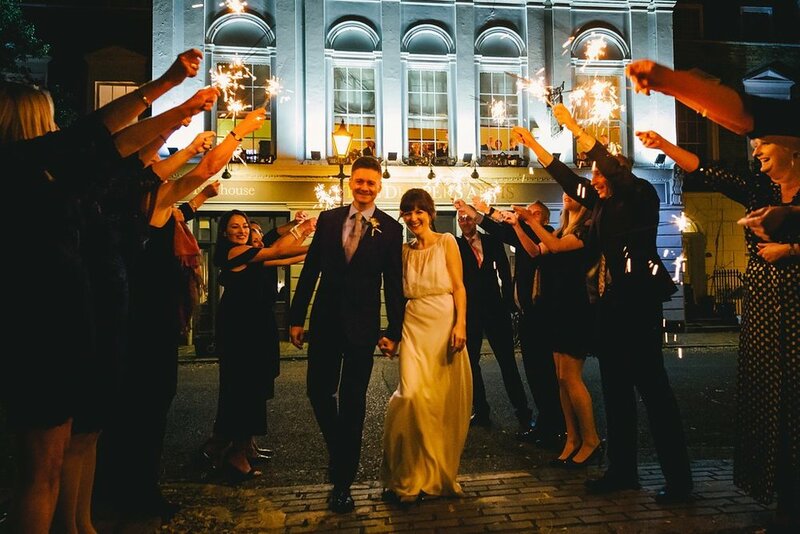 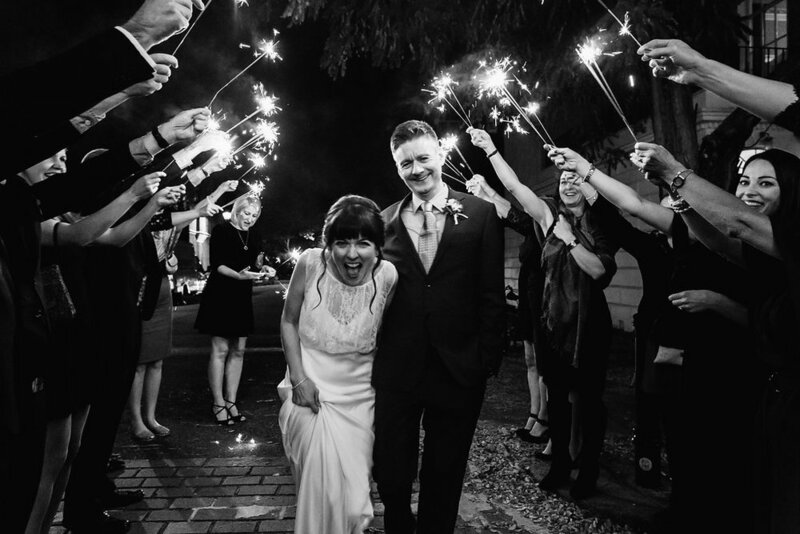 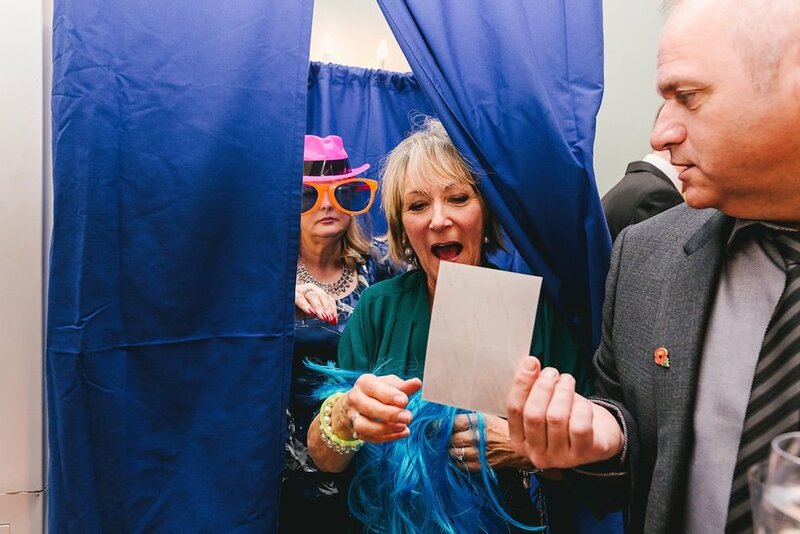 Have a look at the pictures to see if we pulled it off :) Huge thanks to everyone involved in making this night really special for these amazing two and all their friends!